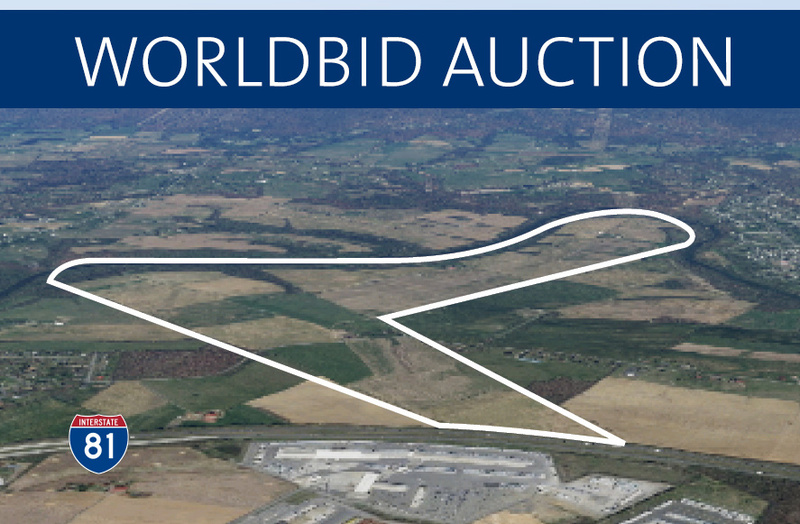 The final auction bid date for the Pennterra Land Development in Carlisle,PA has been cancelled. Announcement was made by Braun Worldbid and Greg Rothman the Broker, on behalf of the owner KMWW. National response to the auction sale was strong, though due to the complicated nature of the development of this large project, it has required more time than average in underwriting and analysis. Several potential buyers are proceeding to deal directly with the owners. Going forward, all interested parties are now directed to the owners. The 503 acre Pennterra development site is a master planned land community fully entitled with all required permits to immediately begin construction of over 1,000 homes + commercial OR, with zoning approval, potential for millions of square-feet of light industrial. With over $3M soft costs invested, the Property has gone through an extensive planning process to create the optimal product mix and amenity program to maximize absorption and project returns. In addition, the Conditional Use Master Subdivision Approval provides for 10-year vesting of the development rights. The site, 20 minutes from downtown Harrisburg, Pennsylvania, near the historic town of Carlisle and minutes from the I-81 corridor near the 76 Turnpike, Harrisburg MSA is considered to be a strong, secondary market, ranked 67th nationally. 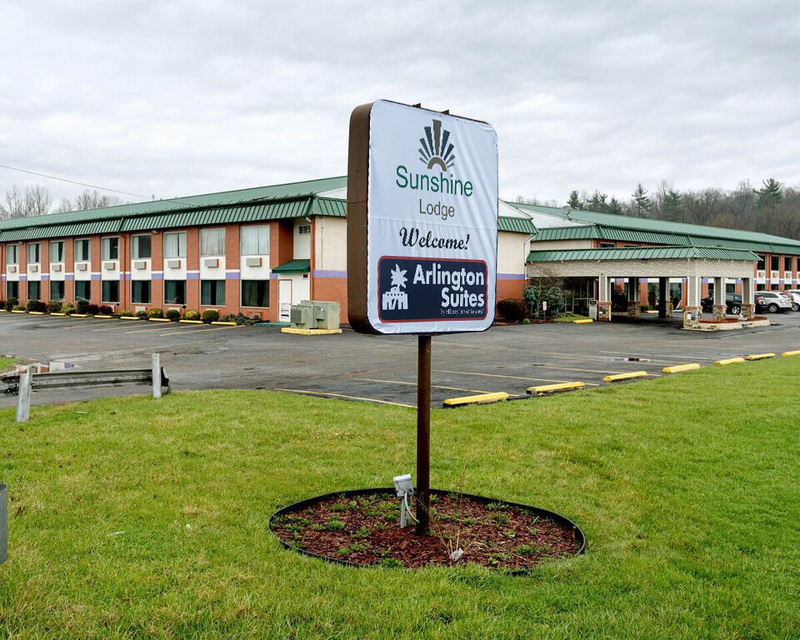 Sunshine Lodge is a recently-renovated, 103-room two-story hotel just off I-77. The property includes meeting facilities for up to 40 people, a fitness center, business center, a seasonal outdoor pool and a 4-bedroom owner/operator apartment (not included in the room count). 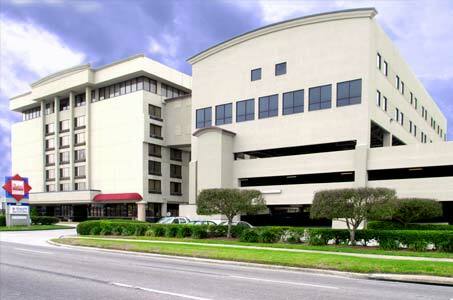 The hotel was built in 1989 and sits on a 3.75 acre lot with 120 surface parking spaces. All public areas have central air conditioning, with PTAC units in the guest rooms (all of which have wireless internet access). 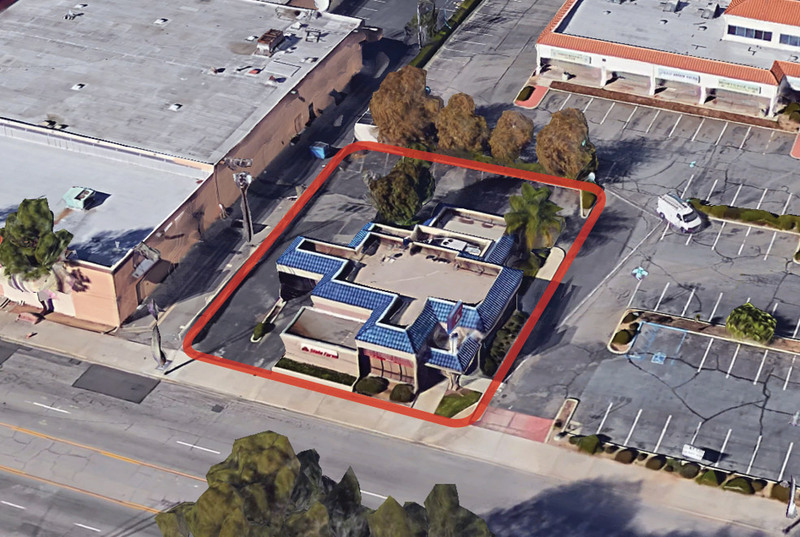 Last listed at $381,000 | Published reserve: $50,000 – – 4,020 SF office building on 19,233 SF lot with street frontage on Highland Avenue (one of the busiest streets in San Bernardino) and only 1/3 mile from I-210. HVAC throughout; very clean and many high-end improvements. Includes a large conference room, a private executive office, full kitchen, walk-in bank vault and drive-thru window. Turnkey restaurant with liquor license! 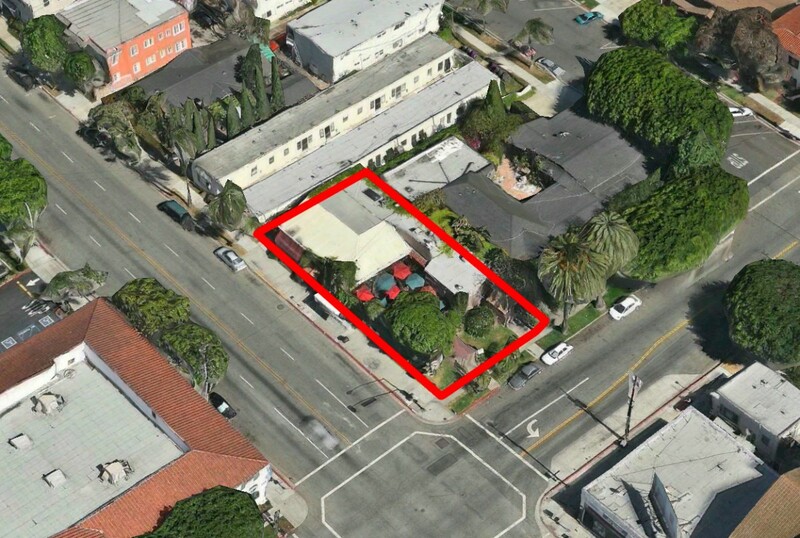 1,150 SF building with enclosed patio and tree-lined dining courtyard; lot size is 5,000+ SF. Sale includes real estate, furniture, fixtures, equipment and Type 47/58 liquor license. NNN Lease, potential 6.7% cap rate. 2,078 SF Popeye’s restaurant on 0.73 acre lot, built in 1998. 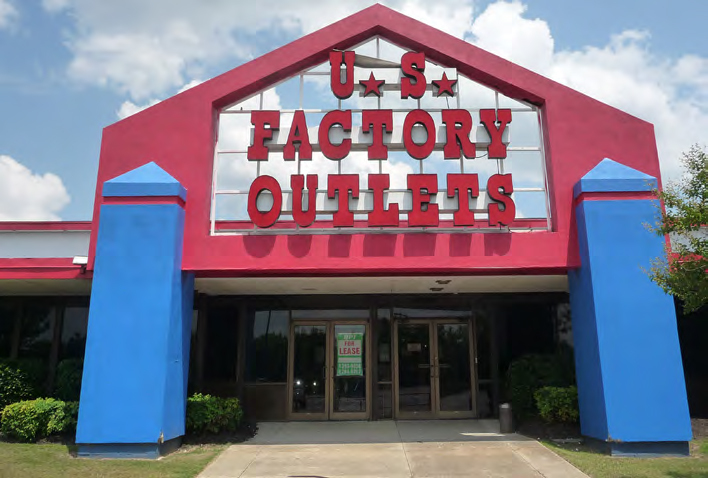 Within 1/2 mile of the Macon Mall; nearby national tenants include Macy’s, JC Penney, Office Depot, Big Lots, Bridgestone/Firestone. 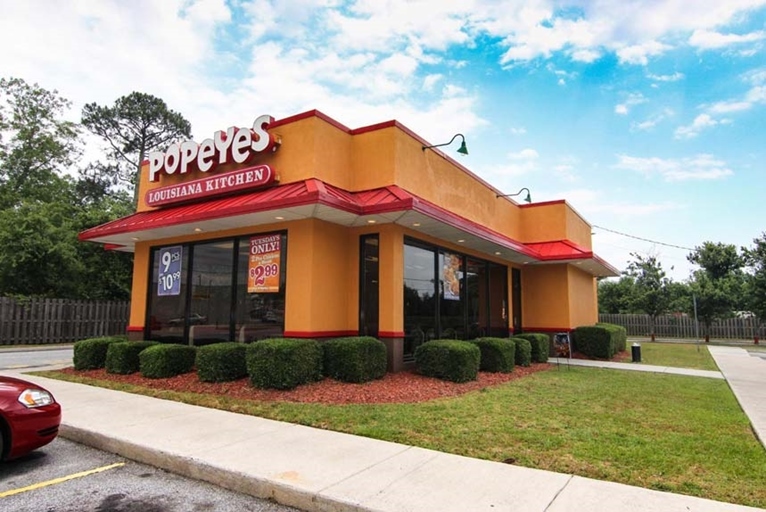 Tenant (Sailormen, Inc.) is the largest Popeye’s franchisee in the U.S. with over 145 locations. 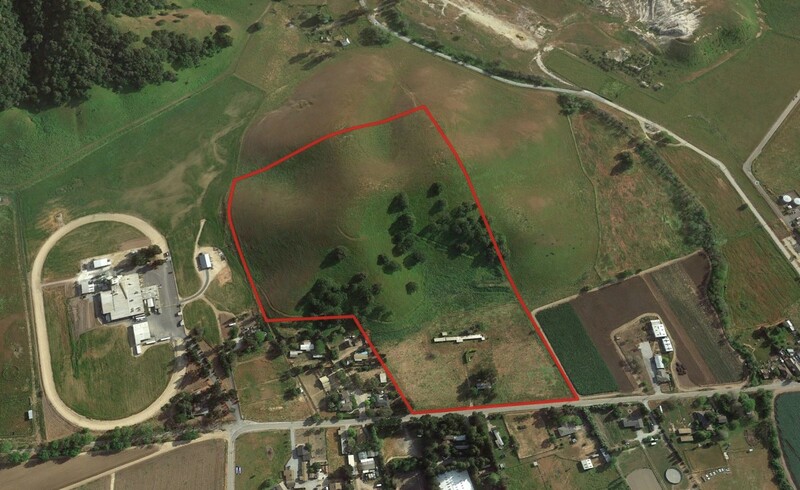 Fantastic 31.5 acre parcel in historic San Juan Bautista; several possible lower or upper view building sites. Possibly subdivide into two or more lots; check with county. Property has city water service. 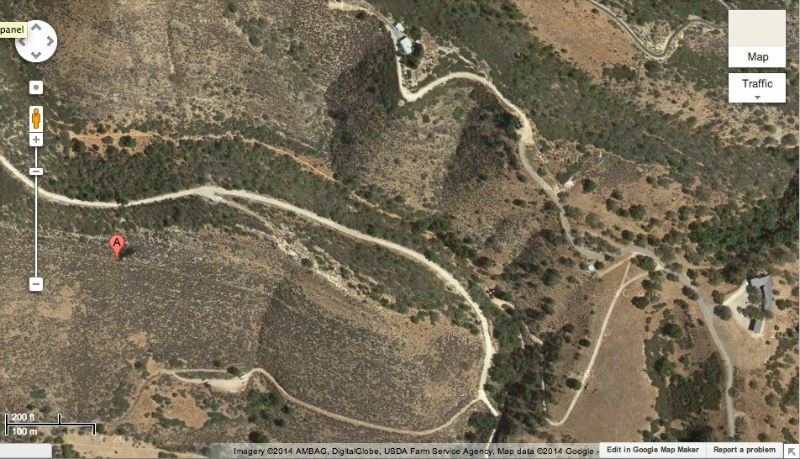 Currently top part of property being used for grazing; great views of the valley and San Juan Canyon. 5 minutes to downtown San Juan…a must-see if you’re considering any of the above possibilties. Braun Worldbid, in conjunction with Colliers International is pleased to exclusively auction the Tupelo Outlet Mall in Tupelo, Mississippi. 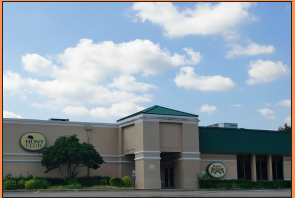 The one-story center is located at 2824 South Eason Boulevard, Tupelo, Mississippi 38804 and is a 134,762 square foot retail outlet mall. The property is currently 52% occupied. Built in 1973, the building sits on a 16.8 acre lot with approximately 595 surface parking spaces. 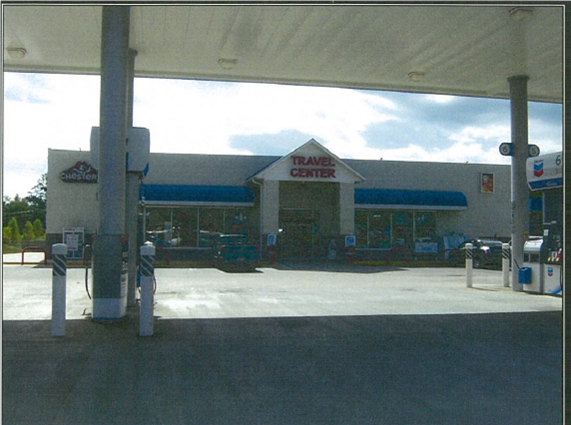 The property is located adjacent to US Highway 45 at Eason Boulevard in Tupelo. 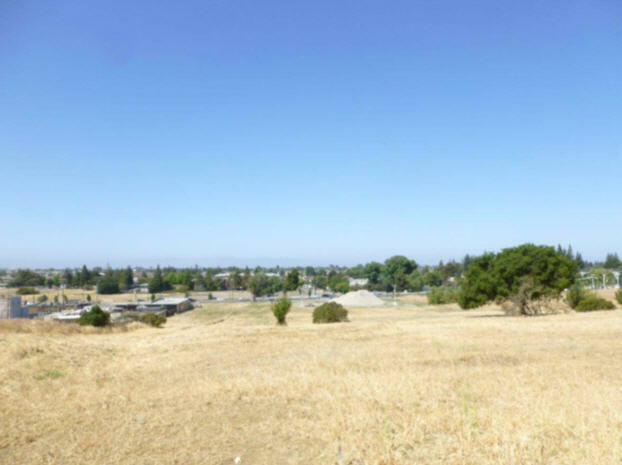 INVESTMENT OPPORTUNITY: Multi-family complex (10 total residences) on 4.11 park-like acres in peaceful West Petaluma. A seasonal creek separates the Ranch-style 5 bed / 3 bath main home from the other 9 residences…perfect for a summer getaway. 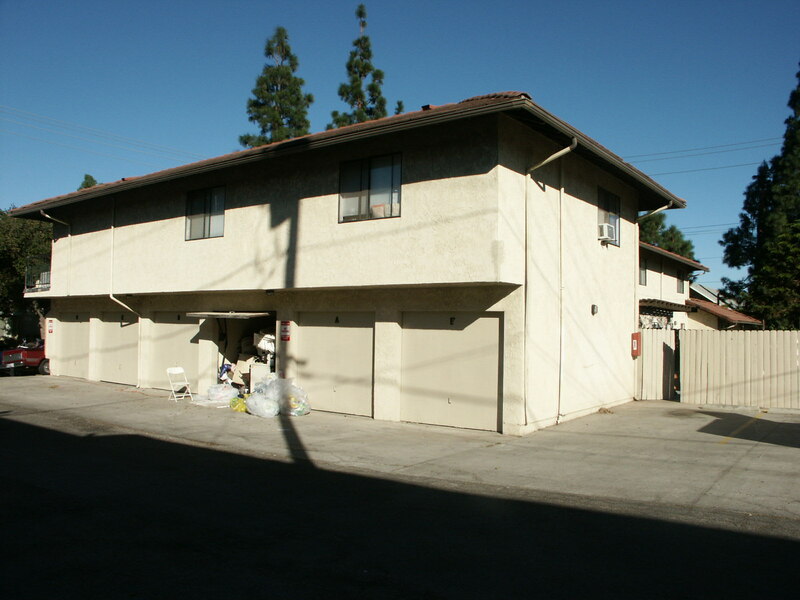 There are three 1-bedroom units and six 2-bedrooms units; all currently occupied. Gross scheduled rent is in excess of $190,000. Previously listed as high as $2,475,000, but will now be auctioned on November 20th to the highest bidder. 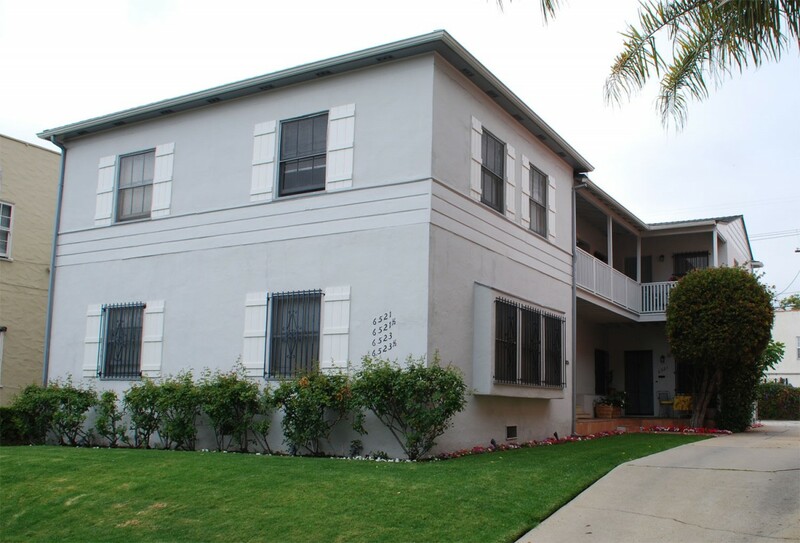 4-unit apartment building (all 1 bed, 1 bath) with a lovely courtyard in a great Orange Street location close To LACMA and Petersen Automotive Museum; walking distance to shopping. The units themselves are large, impeccably maintained and feature hardwood floors, crown moldings and washer/dryer hookups. No Minimum Bid. 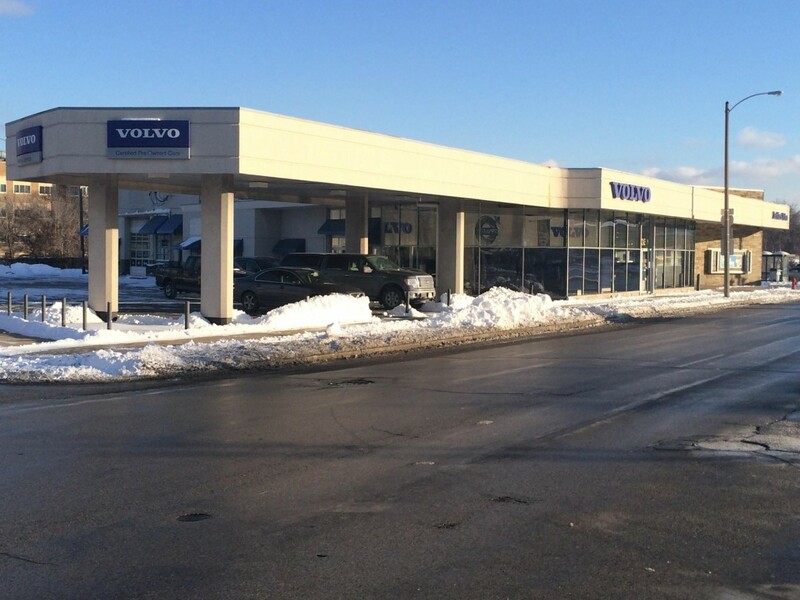 19,082 SF former Volvo dealership with instant access to I-43 (building and signage are both visible from the highway). This well-maintained property has fantastic potential for redevelopment. Built in 1950, zoned Commercial – LBI. No Minimum Bid. 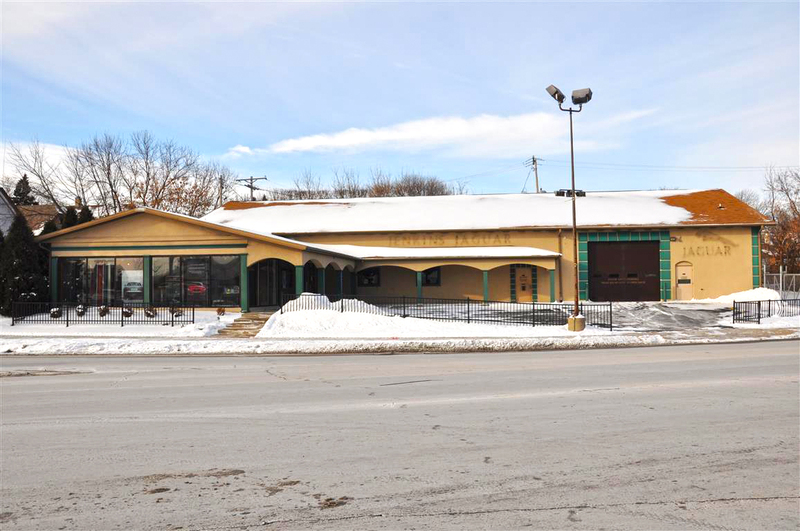 8,190 SF former Jaguar dealership only a block from I-43! This move-in ready multi-use property sits on a 0.496 acre lot and boasts high traffic counts. Built in 1985 and zoned Commercial – LBI. The ranch is 48 acres of prime real estate, fully operating and currently functioning as a full equestrian thoroughbred training facility also available for future development. Developers, investors & equestrians will find everything they need in the spectacular town of Southwest Ranches, Florida. 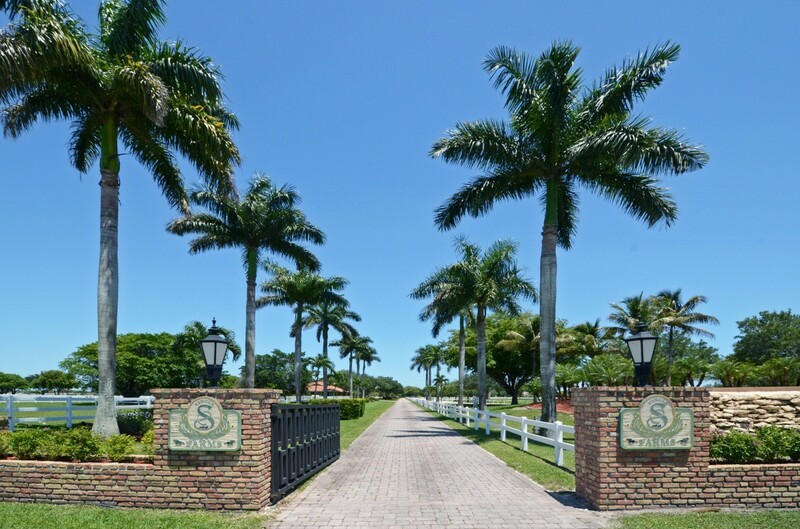 Southwest Ranches is centrally situated and within 30 miles of major international market – Miami, 20 minutes from Fort Lauderdale, and in close proximity to both Ft. Lauderdale International Airport and Miami International Airport. 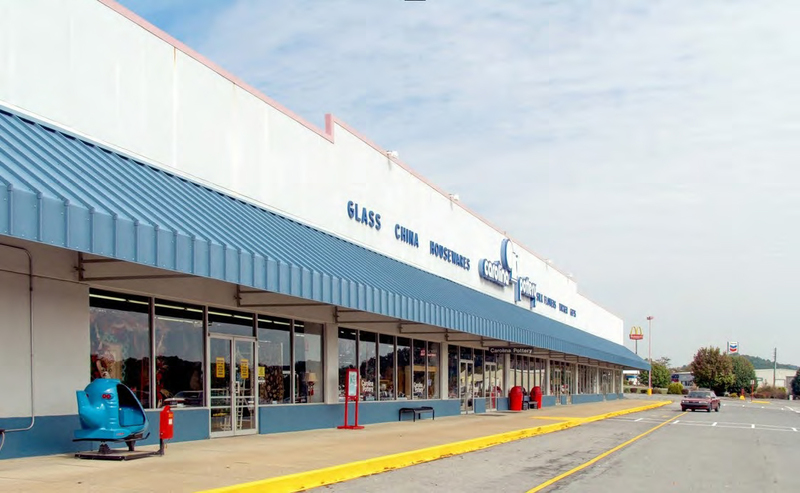 Tri Cities Center is a one-story building located at 354 Shadowtown Road in Blountville, Tennessee and is a 132,908 square foot retail outlet center. Built in 1990, the building sits on a 23.26 acre lot with approximately 837 surface parking spaces. The property is located just off Shadowtown Road, exit #66, near Kingsport Tennessee and has excellent highway visibility. This is an excellent opportunity for an investor to take advantage of the current income stream as well as the upside potential through leasing and management. Absolute Sale! It will sell to the highest bidder, regardless of price! 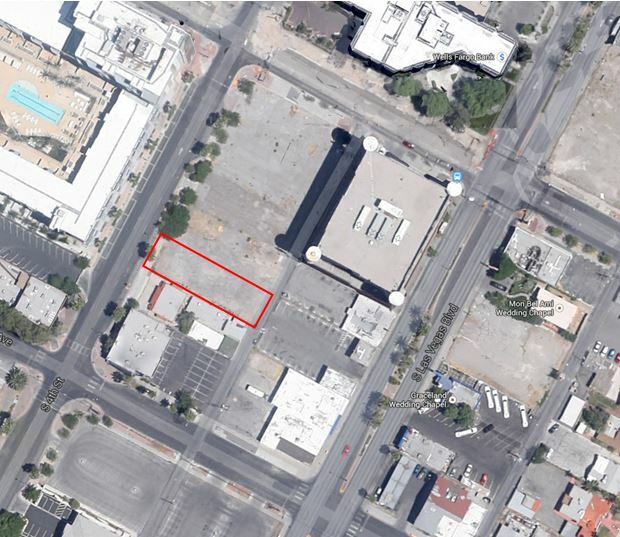 Prime land parcel (10,989 sq ft) located close to the Las Vegas Strip at 4th Avenue and Garces Avenue. APN#139-34-311-137. Don’t miss this rare opportunity! 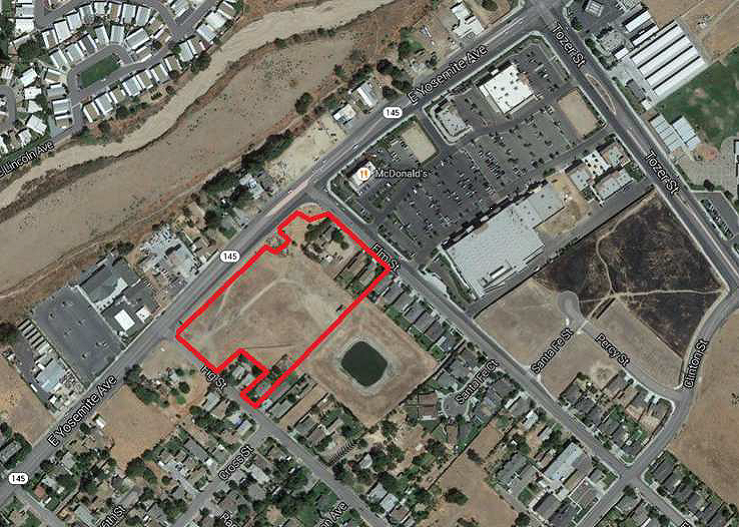 Mixed – Use 12.74 acres site zoned for commercial & light industrial. The parcel is visible to the East of the 14 Freeway and fronts Avenue P-8 (Technology Drive) which is paved with curbs, gutters, sidewalks and streetlights. This an absolute auction – the property will be sold at any price. Bankruptcy Lender Sale! 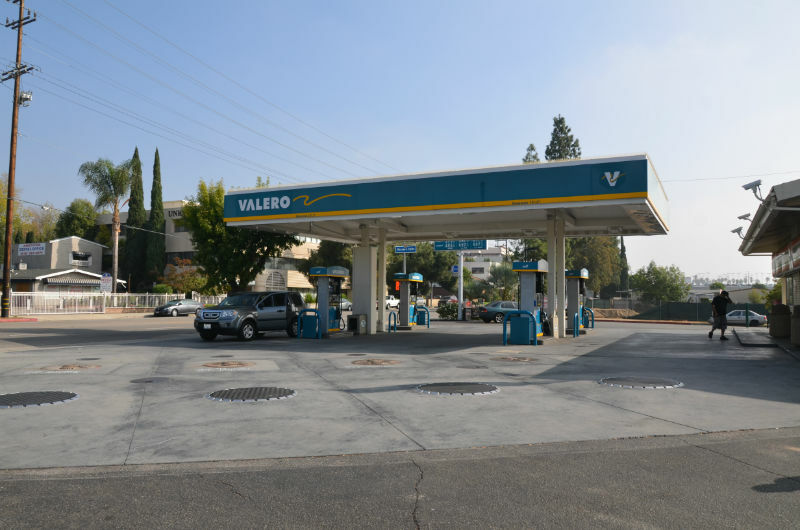 Braun is proud to offer a Chevron Gas Station/C-Store/Church’s Fried Chicken located on a highly-trafficked street with easy highway access in Victorville, California. 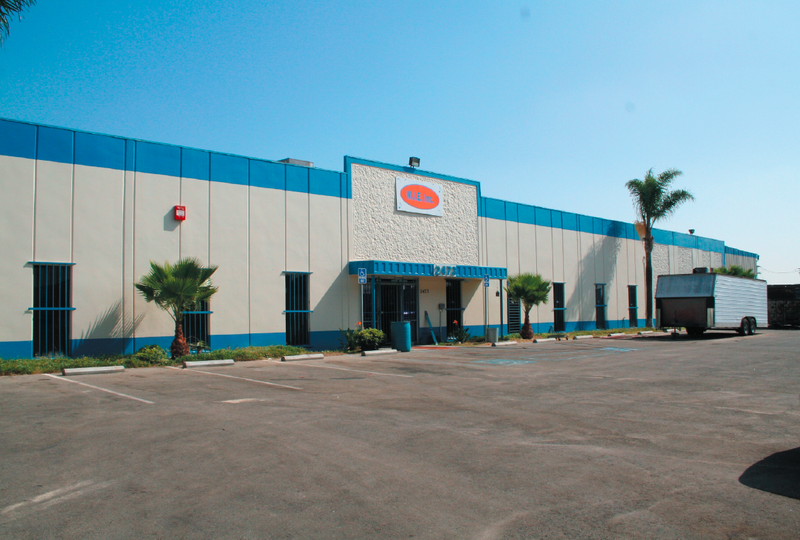 The building size is 6,087 SF on 1.145 acres of frontage on Bear Valley Road. 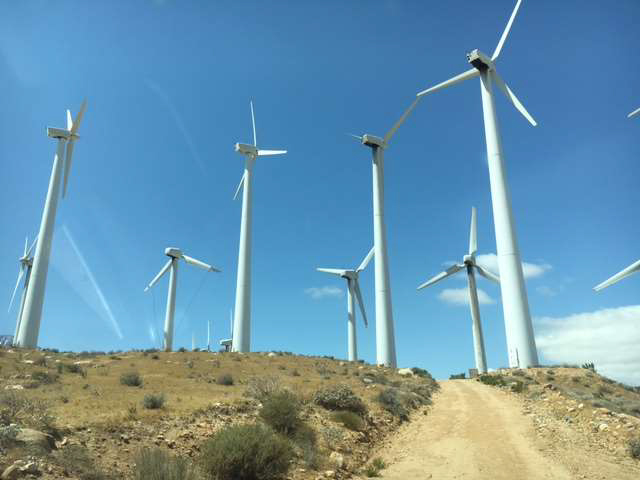 Victorville is located in Southern California along Interstate 15, just 90-miles northeast of Los Angeles. Repositioning opportunity located in DeLand, FL. 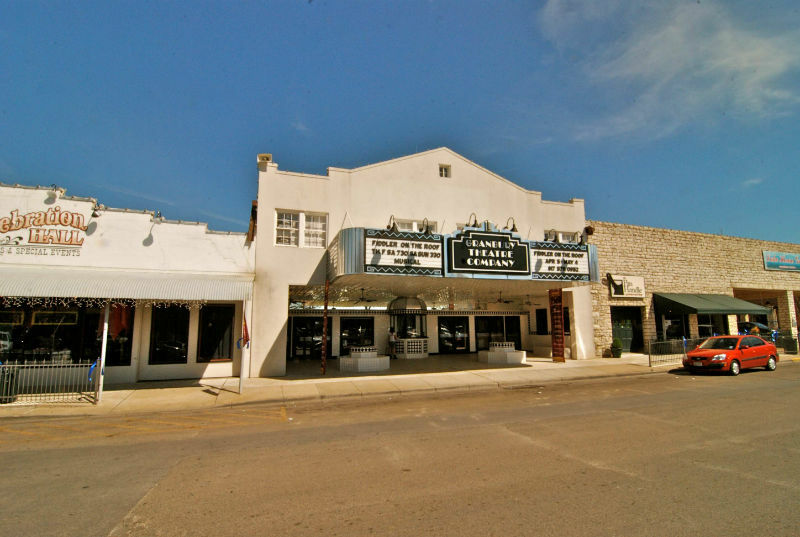 Property is located at: 225 West New York Avenue, in the heart of DeLand, and just a few blocks away from Stetson University. DeLand is in a prime location in Central Florida, positioned between Jacksonville, FL and Orlando, FL. The property is zoned for hospitality, medical, senior living, restaurant, or retail, or student housing, among others. Located at 990 West 203 ,Elba, Alabama 36323. APN# 1103071002001008. 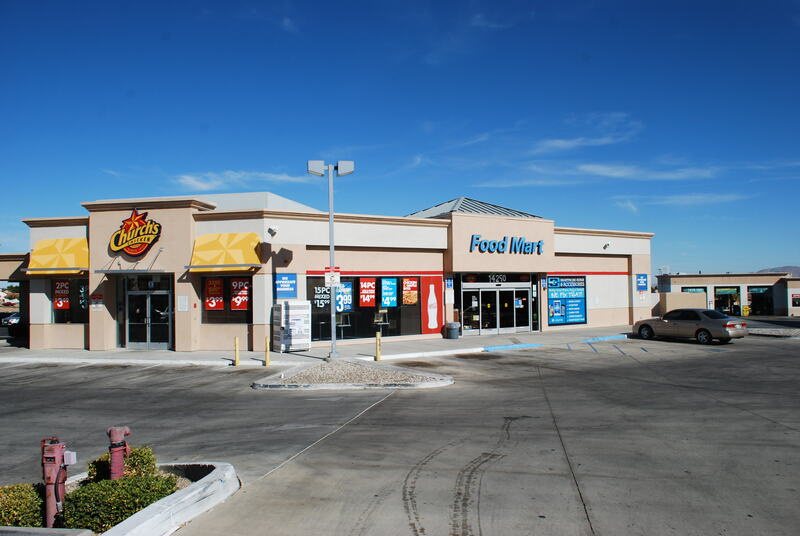 Built in 2009, fully Operational, full Service Restaurant, C-Store, Diesel Center, 8 Pumps, Car Wash. 200,000 SF of land, 12,000SF of Buildings and Improvements. Excellent Financials. Turnkey – Ready for Operation. 5 Contiguous and Non Contiguous Parcels totaling 4.4 acres, and 95,000 SF of Buildings, including 16,000 SF of Cold Storage. Additionally, nearly $2 million of Citrus Packaging and Processing Equipment Installed and Ready for Operation. 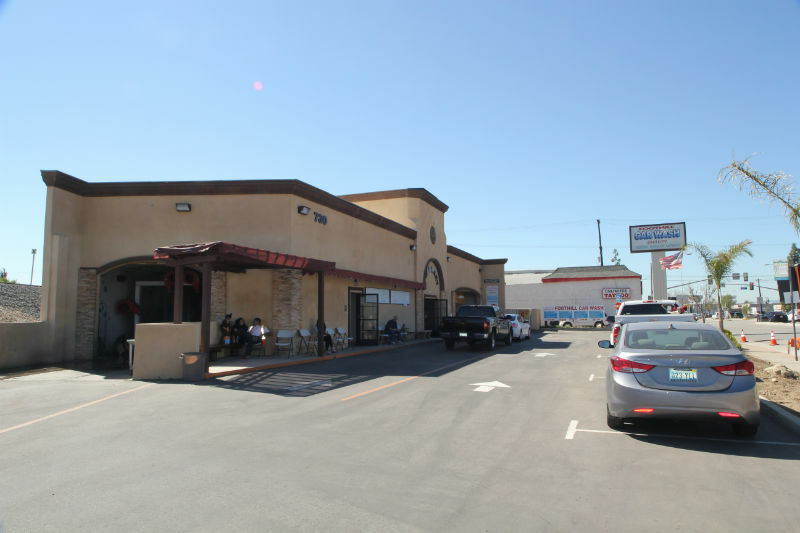 Property is located in the heart of Porterville, CA. New retail in the area include CVS, Walgreens and Retail Strip Centers Zoned Downtown Mixed Use and Downtown General Commercial. Absolute Auction: No Minimum, No Reserve. 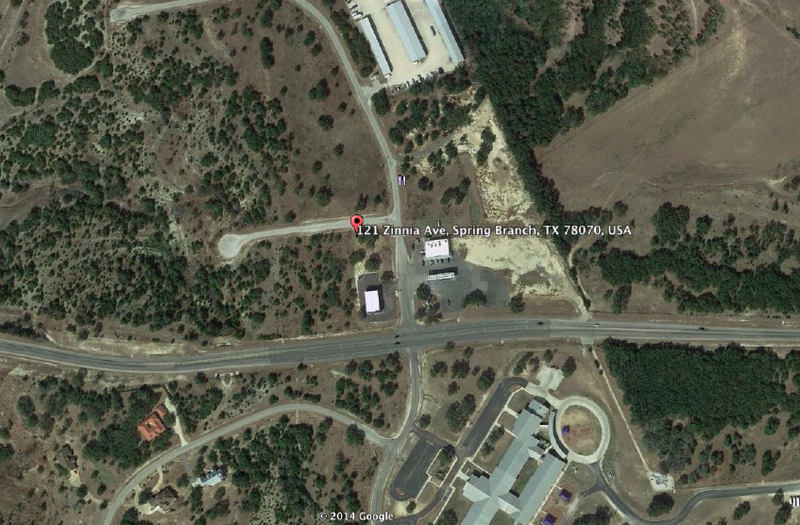 1 Acre Land Development 121 Zinnia Ave Spring Branch, Texas 78133. Absolute Auction: No Minimum Bid, No Reserve. 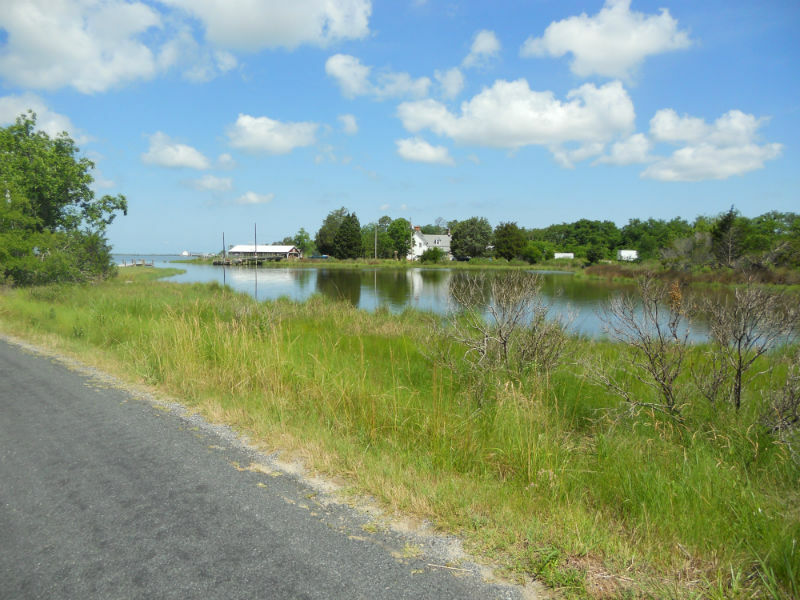 Located at Johnson’s Landing Road in Parksley, VA in Accomack County. The subject property consists of a 12-acre parcel bordered on two sides by Johnsons Landing Road. The parcel is wooded with a mixture of pine, cedar and hardwood. The property overlooks Johnsons Landing, a public boat ramp, and Hunting Creek. 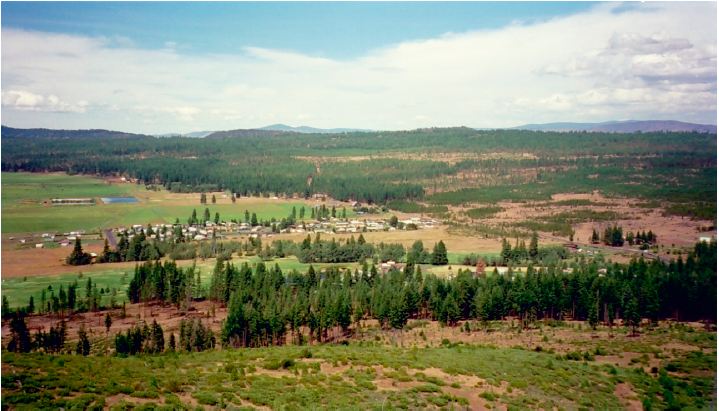 The property is large enough to allow division into at least two homesites. APN#: 77-A-24. With large metropolitan areas to the north and south, it will doubtless be only a matter of time before more developmental pressure is brought to bear. 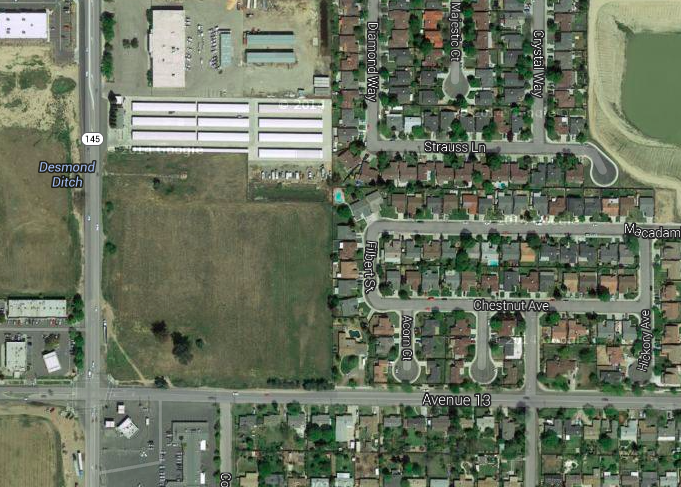 Future Development land within the city of Madera sphere on influence. 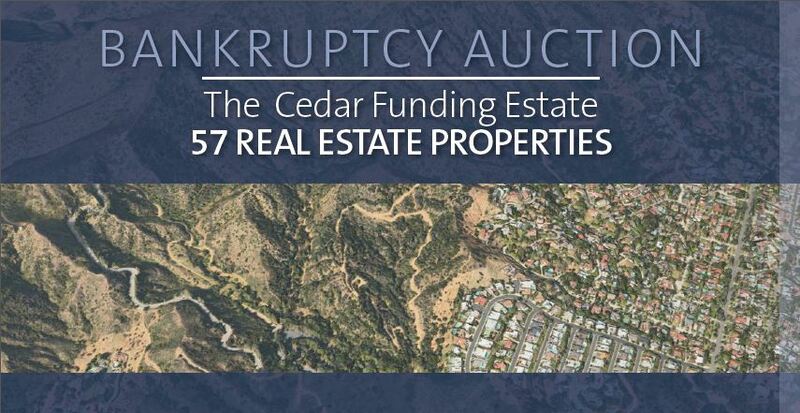 With Madera Community Hospital and South Madera High School less than 1 mile from subject property. Future multi-family housing complex within a half mile distance from subject property. Proposed North Fork Rancheria casino being completed by the end of 2014 or beginning 2015, lots of opportunity for growth in the Madera area. Close proximity to shops, restaurants, with easy on and off from Freeway 99. Opportunity for retail/commercial future development. Well established, fully operational 126 seat restaurant/ pub with a 28 year tradition of serving loyal clientèle of locals and visitors alike. 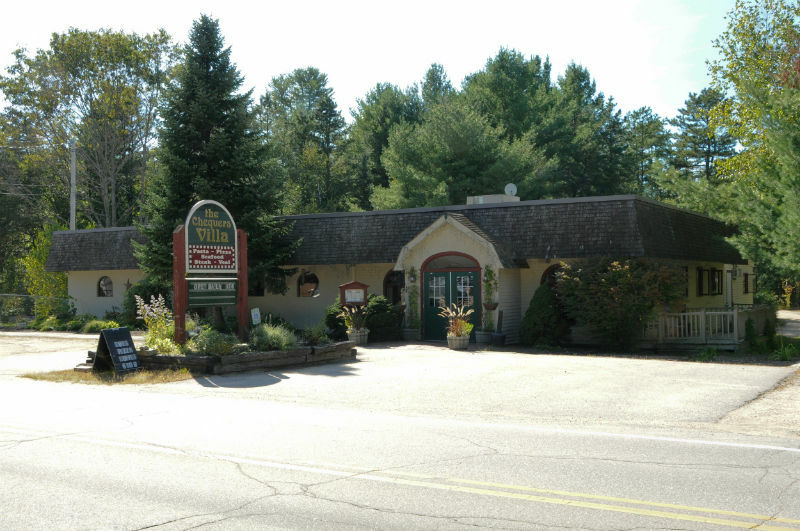 Located on high traffic routes #16 and 25, and is the gateway to North Conway. Restaurant Estate being sold but not tenant or operator. In conjunction with: Select Real Estate – Steven Steiner. 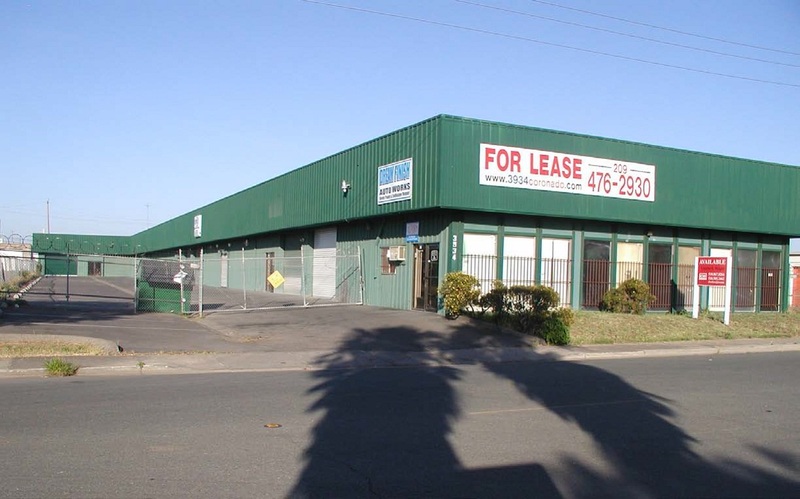 27,750 SF INDUSTRIAL BUILDING with metal security fence, 3 offices plus tiled floor showroom, concrete construction, metal frame, excellent condition adjacent to Alameda Corridor, zoning LCM2. Big Rock Ranch has two riding rings. The oval shaped upper riding ring is 300’ by 75’ and has complete metal storage tack room. The lower ring has an arena, 200’ by 55’. 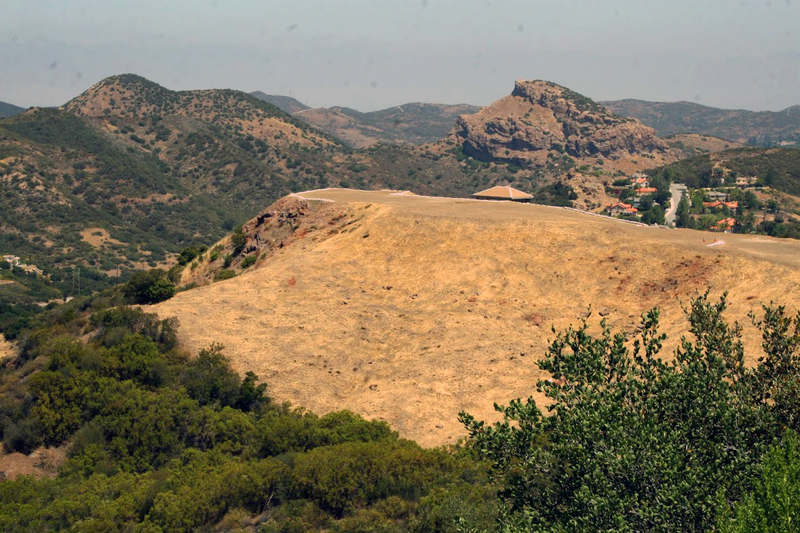 The property is ideal for western riding and has direct access to many miles of trails that run through the Santa Monica Mountains.There are numerous areas where permanent stalls and facilities could be built to create an outstanding equitation,hunter/jumper or dressage facility. 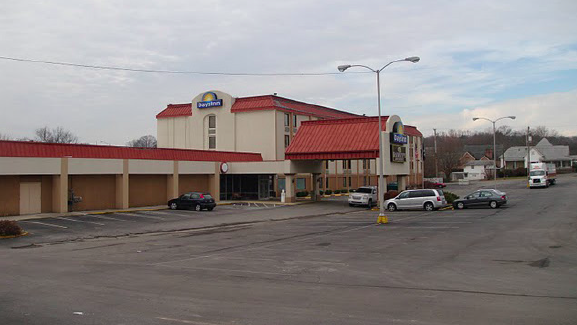 Days Inn: built in 1973, located on the north end of town just off of I-75 and five miles from downtown Knoxville. It’s also only five miles from the University of Tennessee. The hotel consists of one building with four floors. All floors have interior corridors and are served by an elevator. The 101 guest rooms are a mix of one bed and two bed, as well as 16 two-room suites. Handicapped rooms are available. The facility has a large indoor heated pool and onsite restaurant. The main lobby features a sitting area and complimentary breakfast area. 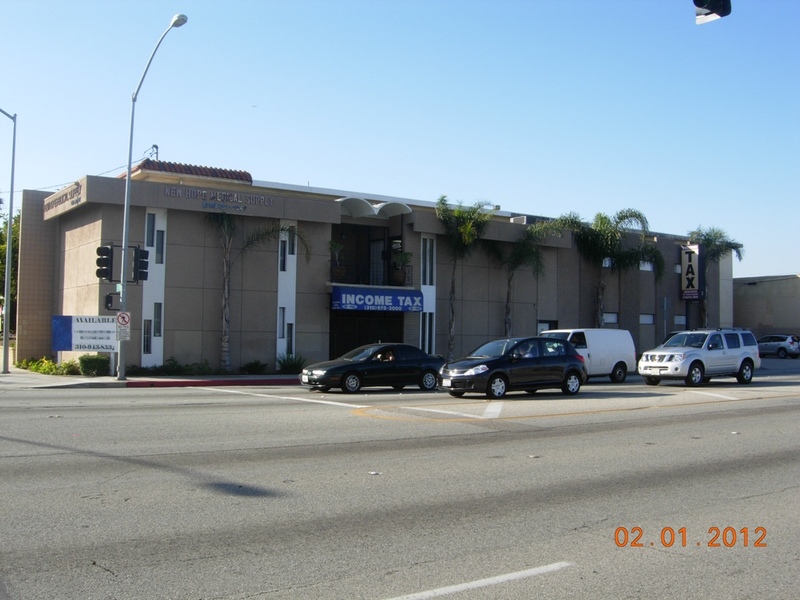 This mixed use building is a 12 apartments 4 retail spaces property, built on 7,778 SF land area. The building is approximately 10,455 SF. The gross income is calculated as $355,308.00 annually. The capital rate goes to 5.67%. This 19,350 SF multi-tenant warehouse property includes seven units, all occupied, except for one of the units. This provides a great opportunity to maintain steady cash flow with the ability to increase from its current income. 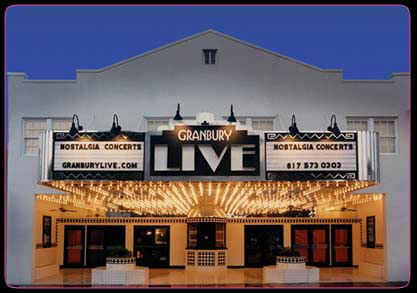 Current gross operating income is $83,315, and gross annual rent potential is up to $92,000. Operating expenses are below average in this market. The new owner(s) can lease the remaining unit, or occupy it themselves. 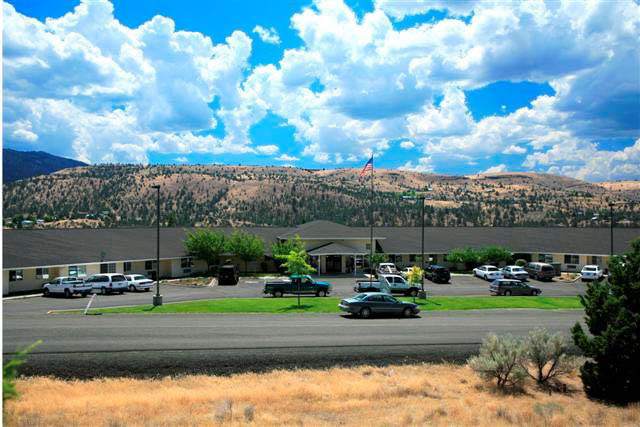 The investment in Valley View Assisted Living offers a new owner the opportunity to acquire a beautiful assisted living facility in a strong and growing Oregon market. The property boasts a physical plant in near new condition. The well-manicured landscaping, unit mix and plentiful common areas also enhance the viability of Valley View Assisted Living as an investment. The facility is currently owned by a non-profit, Aspen Foundation 2. 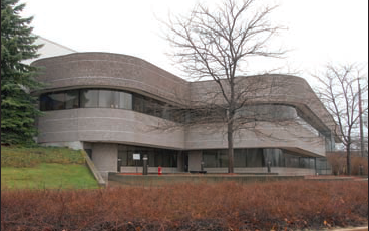 The property was built in 1998, on a 25,248 SF land, with 35 units, 4.38 Arces in total. Concrete and masonry construction, air conditioned warehouse space includes ±2,500 SF of office space, 4.7 acre site, 3-phase 2,000 amp electrical service, seven dock high leveler loading doors, excellent access to I-59/I-20. This property is a modern industrial complex 589,000 SF total with 36,000 SF modern class offices, double track rail suffer complex located on 24 acres land with double tract rail spur, overhead cranes, great location outside of Boston in the heart of Massachusetts, and many other improvements. LAND PARCELS IN: San Bernardino County, Los Angeles County, Santa Cruz County, Riverside County, and Kern County. 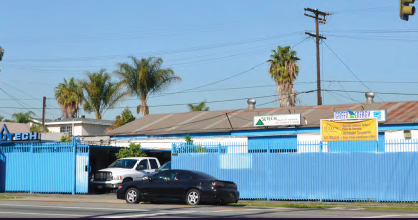 It is a Bank-owned 4,370 SF industrial property on 31,363 SF lot, two one-story buildings and 12 parking spaces plus ample yard area. The 520 SF concrete office was built in 1970 with a 3,000 SF metal warehouse built in 2008. Round Lake Mobile Home & RV Park (123 spaces for RV and manufactured homes with room for more), Round Lake Golf Course (9 holes & driving range, Pro Shop), 61 acres residential land (existing PUD for 390 lots), Aegis Round Lake Sewer Company LLC (A Water & Sewer utility company with 68 residential customers outside the park), Round Lake Water LLC. 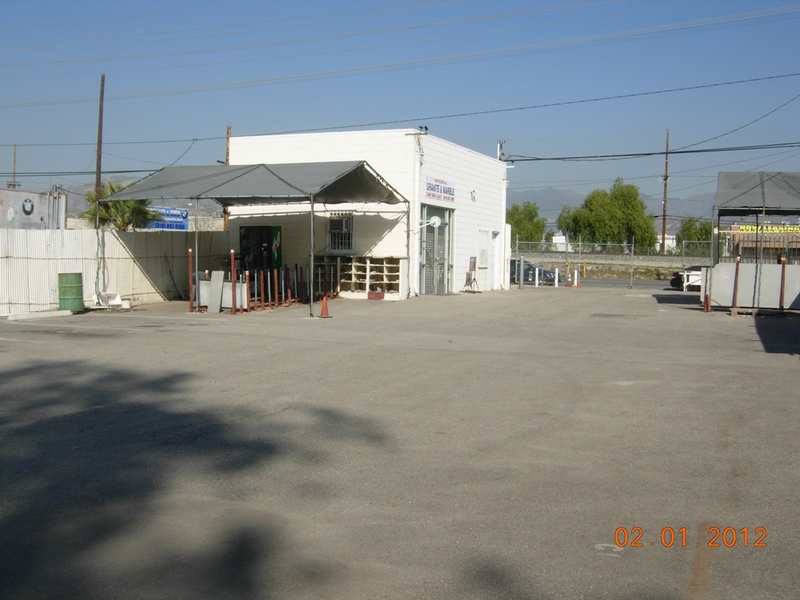 This property is a 6,045 SF Commercial building on 11,935 SF lot, currently used as an auto repair facility. The building includes 5-car parking and 561 SF under canopy. It comes with 1,500 SF office, 3 bathrooms, and one day event, fully-secured and gated. 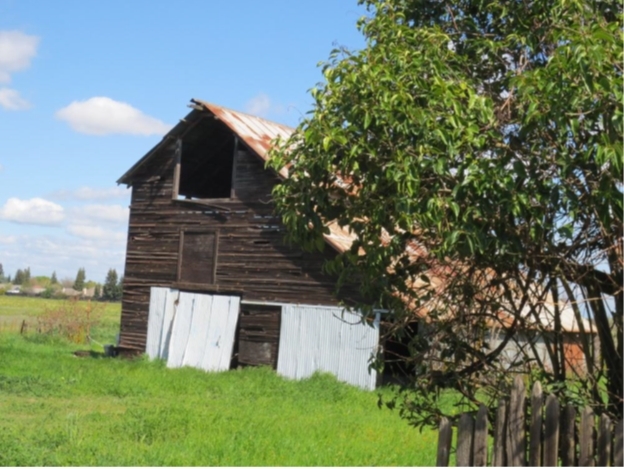 This is an auction for two properties, both of them are vacant land of great development opportunities . The first on is located at 1430 Cabrillo Hwy, Half Moon Bay, CA 94019. 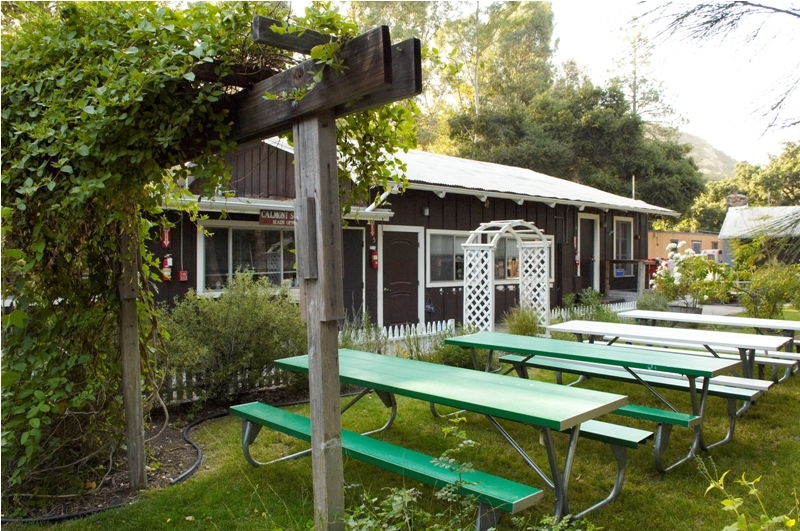 It is a zoned commercial visitor serving; uses include RV park, restaurant and hotel/motel. 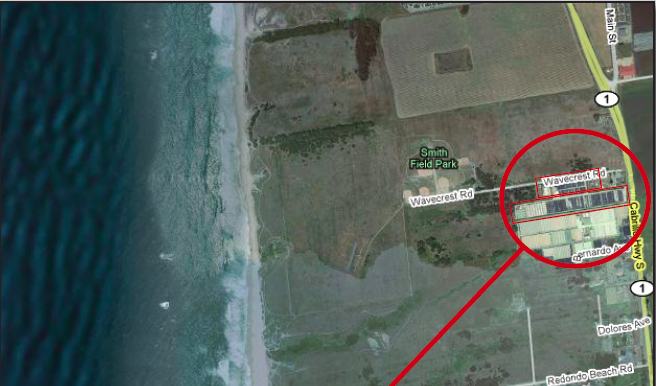 It has a high traffic count, great development opportunity, and is just steps to the ocean. This 32 room motel is located on a great corner lot in the heart of town. A short drive to Lake Havasu and Bullhead City, and only 90 minutes from Las Vegas. 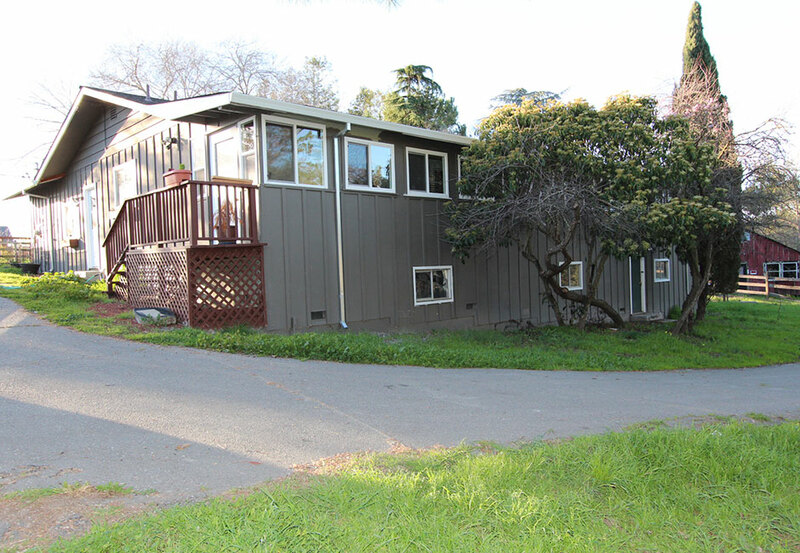 This property is located in one of the highest counts in Montclair. Ideal retail development site. Frontage: 800 ft of Central Ave, 600 ft of Holt Blvd. Largest remaining parcel in the area. Immediate access to the 10 freeway. Beautifully appointed ocean view commercially-zoned duplex. Both units are currently rented month-to-month under market. This duplex features a huge wood deck, roomy 4-car garage, and terrific curb appeal. Remodeled top to bottom circa 2008, with WiFi, wood flooring, air conditioning, spa tubs, viking stove, stainless steel appliances, recessed lighting, patios, decks, laundry room with 2 year old stackable may tags. Unit A is fully furnished, including flatscreen TV. 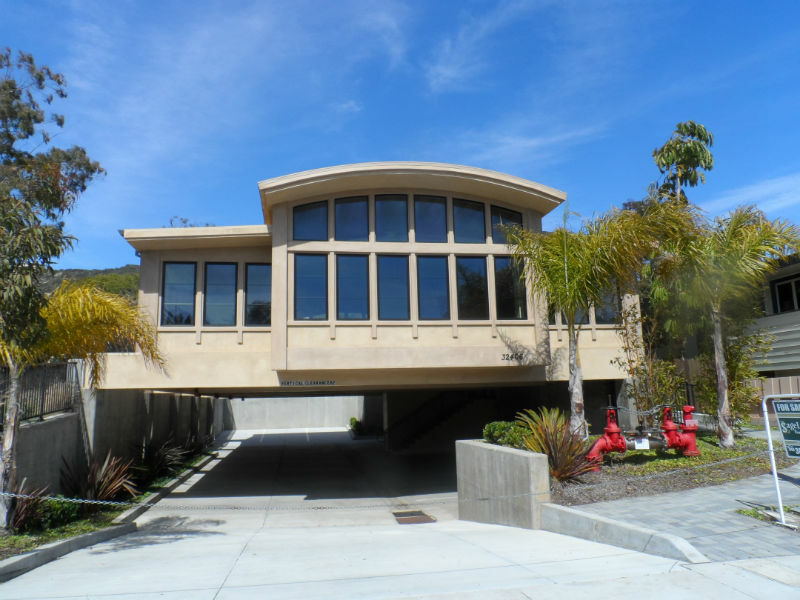 Great location (visible from Pacific Coast Highway) for offices; live on one side or open one door and connect as one residence. This fantastic property includes over seven acres (two APNs), all utilities available, plus fully approved plans in place to buildan approximately 7,000 SF. home ON TOP OF THE WORLD! This gorgeous piece of land with unobstructed, 360-degree views will provide you with the privacy of a home in the Santa Monica Mountains, but also the convenience of being a very close drive to schools, the freeway, shopping centers, restaurants, the beach,and so much more! 99% of grading work is complete with all rock removed for easy build. Hundreds of thousands of dollars have already been spent on retaining walls, drainage, and 2005 permits and approved plans (still active). Build the property with the approved plans or make minor revisions to fit your needs! 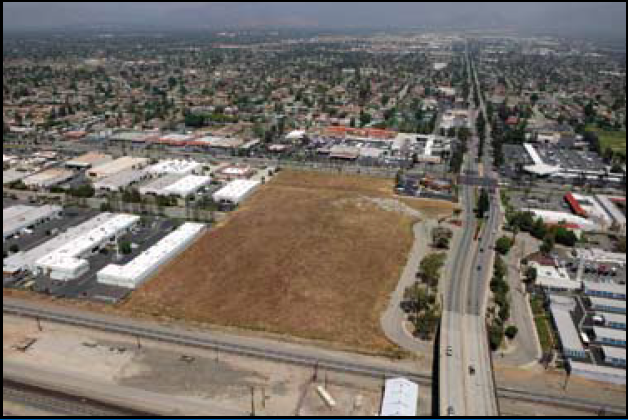 The site contains approximately 2.00 acres, or 87,120 SF of land area located at 14419 Import Road, approximately 140 feet southeast of the intersection of Import and Trade Center Blvd. The subject is approximately 0.60 miles southwest of Mines Road. The site can also be described as being approximately eight miles north of the central business district of the city of Laredo. The property is located in the northern portion of the city of Laredo. The neighborhood boundaries can be defined as: IH-35 to the east; Loop 20 to the south; and the city limits to the north. The city limits and the Mexican border form the western border. The neighborhood can also be described as being located approximately eight miles north of the Laredo central business district. 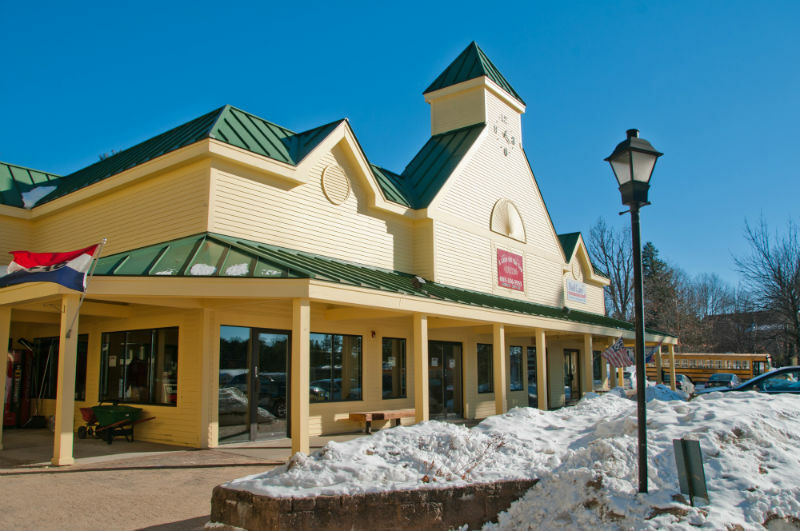 It is a 16,960 SF retail shopping center, located in heart of Major Retail area. 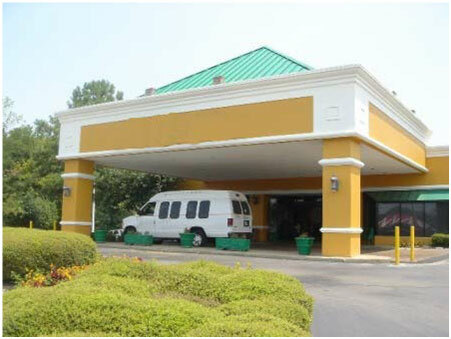 The Quality Inn & Suites, which was just recently closed, is easily accessible from I-20, and conveniently located just 5 miles from downtown Jackson, 1.5 miles from Jackson State University, and approximately 12 miles from Jackson International Airport. This property has excellent facilities for banquets and business meetings. The hotel is equipped with additional features and amenities for any type of traveler. 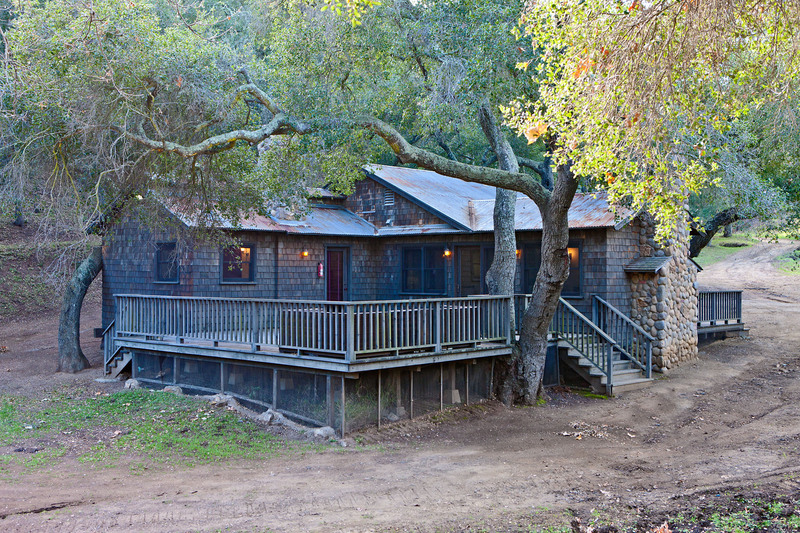 This property was built in 1980, located on 7 acres land , has 201 total rooms – each room is approx. 12’ x 24’, 96 rooms are furnished, 25 rooms are two-room suites, and is installed with an approx. 100,000 total building SF, over 7 acres/304,920 total site square footage. 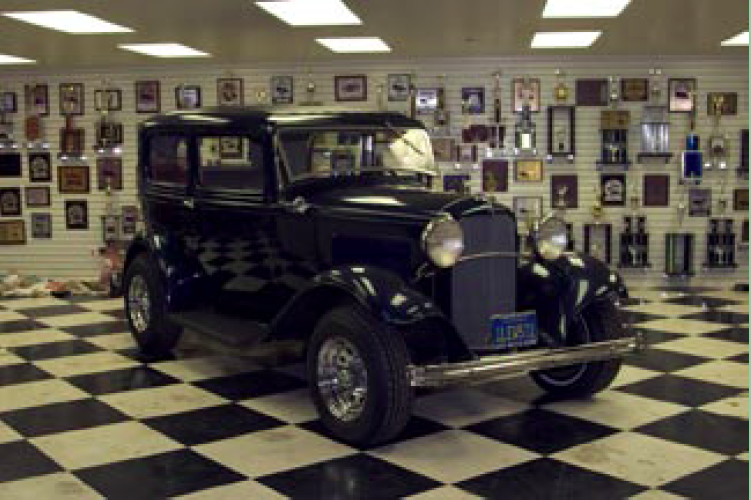 This property is a 27,750 SF facility of famous hot rods & collector of cars, trucks, trailers, motor home, engines, thousands of collector parts, boating & fishing equipment, CAT marine engines, Federal 110 ton press, 2 auto lifts, 2 Bridgeport mills, 4 forklifts, lathes, presses, welders, saws, hundreds of tools, shelving, storage bins, auto repair equipment, and tube extruders. 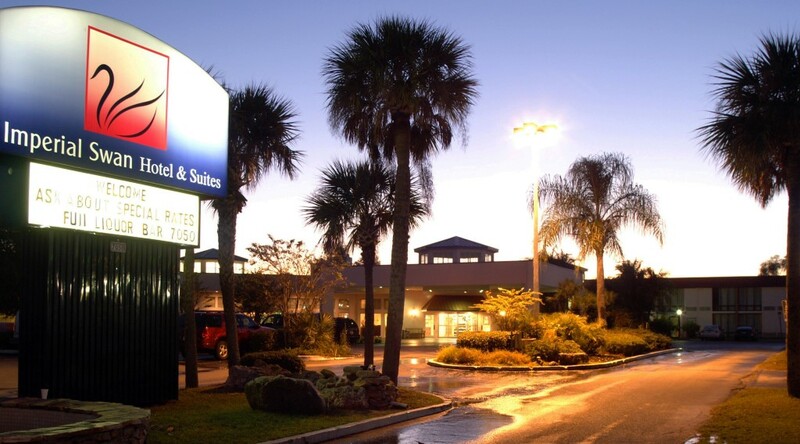 The bayonet inn and suites is located on 2.79 acres adjacent to I-75, recently renovated and re-branded, completely furnished, and all FF& E included. 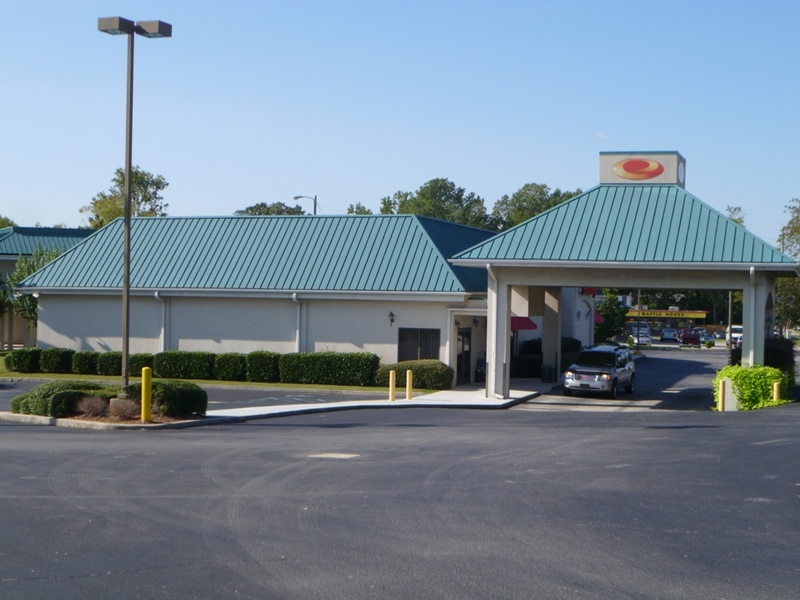 This property is easily accessible from I-75, located at a busy intersection. This property has excellent signage and is visible from the local neighborhood and I-75. 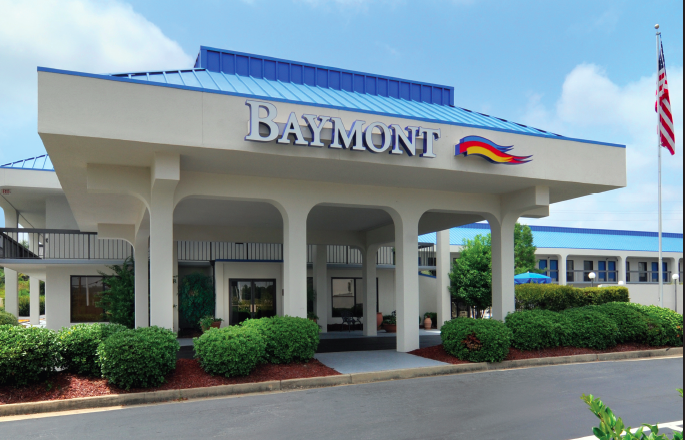 The Baymont Inn is also adjacent to the Rivergate Shopping Center and the Shoppes at River Crossing. 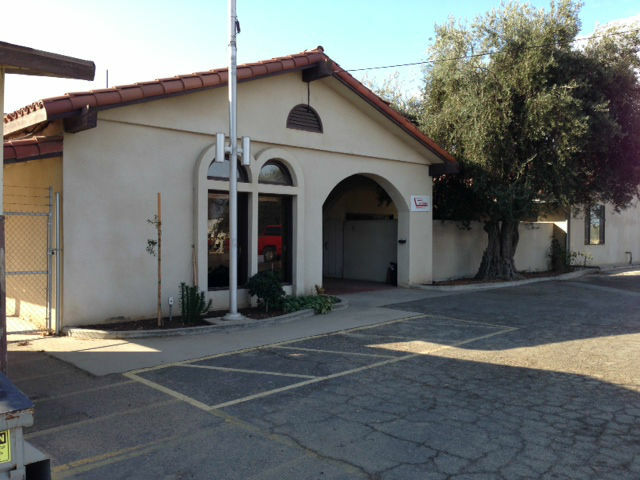 The property is 5,265 SF multi-tenant office property on 4,346 SF lot. It has 6 office units on two stories, one single-fixture bathroom per unit, HVAC throughout, and 45o SF enclosed garage included with 6 parking space, and 50% tenant-occupied. The building is only 15 mile away from southwest of downtown LA. This property is 1/2 acre of land, a 6,700 SF restaurant building plus 600 SF free standing office building , detached 1,700 SF Single Family home. The restaurant includes 67 parking spots and is fully furnished. 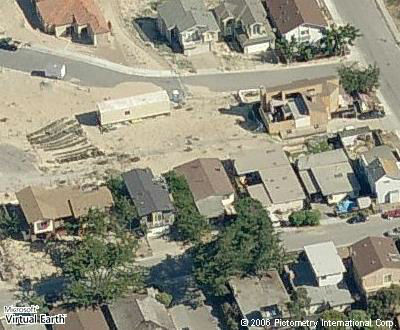 Vacant Land adjacent to Single Family Home with Ocean Views. 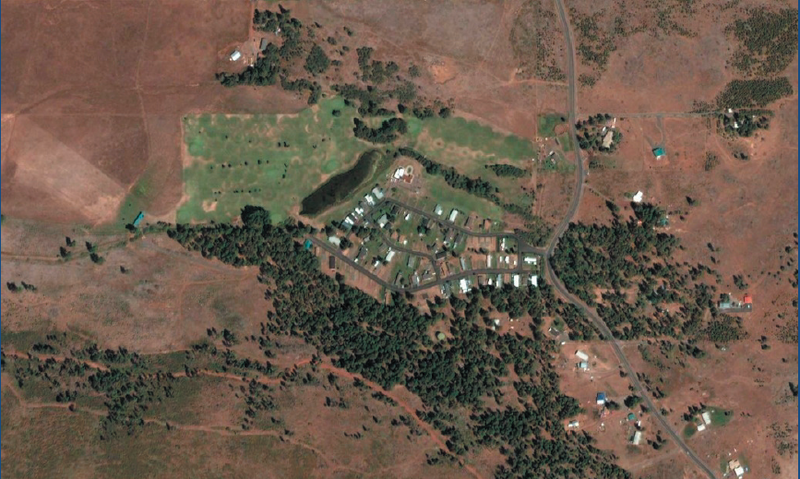 This property is made up of two adjoining parcels totally over 5.7 acres. 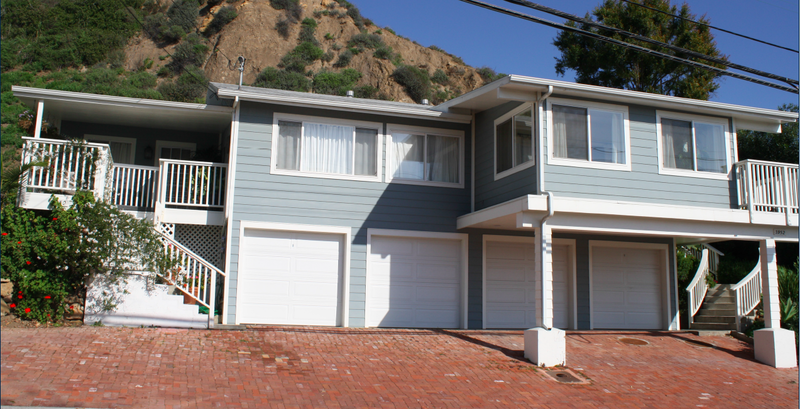 2 Bedroom, 2 Bath, 2,097 SF Single Family with Ocean Views. The over 2.5 acre lot allows for stables and horses and also includes the adjoining lot. 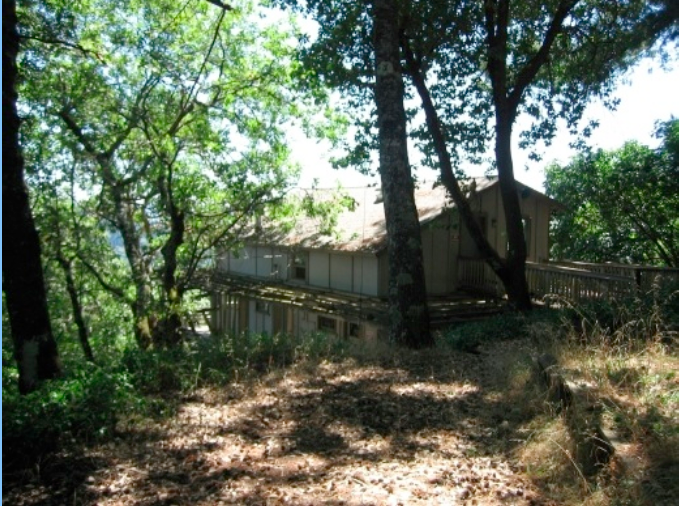 The property was built in 2000, located on the north end of town surrounded by a vast wilderness, consists of one building with three floors. All rooms have interior corridors. The 58 guest rooms are a mix of one bed, two bed and suites. Handicapped rooms are available. The facility has a large indoor heated pool and hot tub and extensive exercise room. The main lobby features a sitting area and complimentary breakfast area. The hotel has been FEMA approved for government travelers. 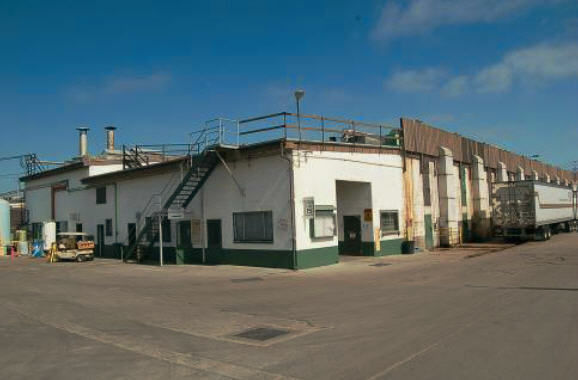 This property is approximately 1.77 acres/77,100 total site SF, three floors with interior corridors. 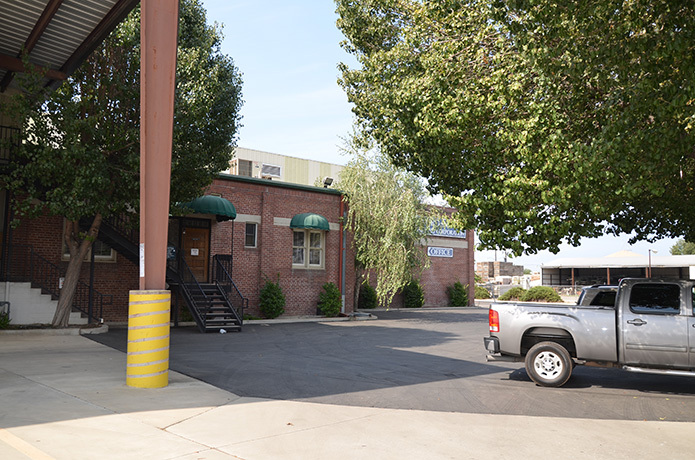 This property is an approximate 112,000 SF multi-story industrial complex of 0.996 & 1.380 acrs sites. It is located in the heart of downtown Fresno, which is only one block from Chukchansi Park Baseball Stadium, Home of the Fresno Grizzlies. 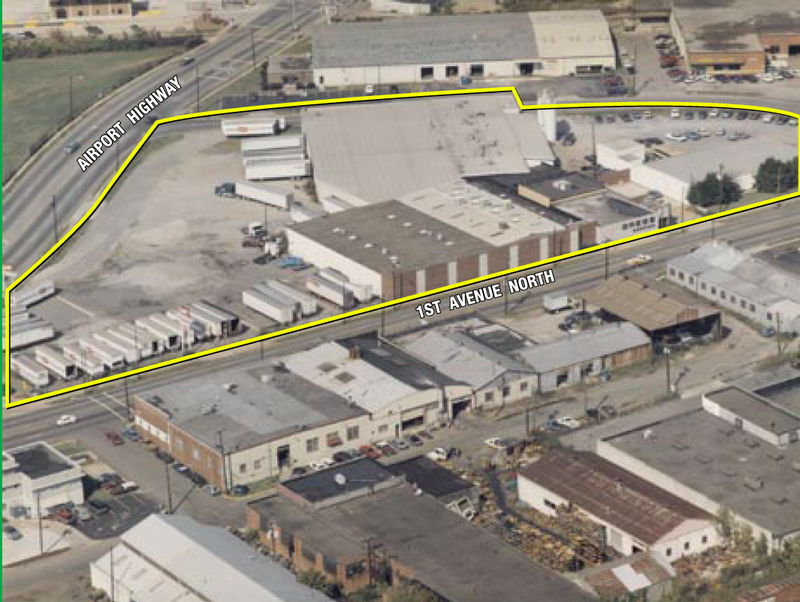 Prime Development Opportunity Inside the Chinatown Redevelopment Zone. The property information, which includes the appropriate registration forms,purchase contract, disclosures, title report, leases, financial information and other related documents, is available to download at Braunco.com. Every bidder is required to acknowledge they have reviewed the property information. Phone or absentee remote bidding arrangements can be made for interested parties who are not able to attend the auction. This information is available by contacting our office in advance of auction day. PA, the “Town of Motels,” is located directly off of I-70 and I-76, two major interstates. Because of its ideal location as an exit off the PA Turnpike, approximately 4 million vehicles per year stop in Breezewood, usually en route to their final destination. Breezewood provides easy access from several major US cities. 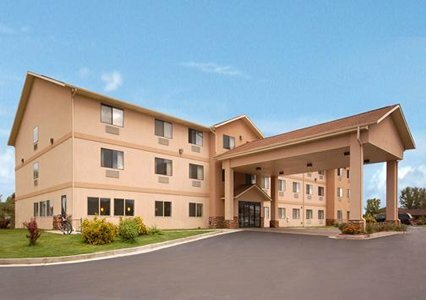 This operating Howard Johnson offers 118 fully furnished rooms, substantial RevPar growth potential, and many amenities. It was built in 1986,118 rooms / 2 floors. 1.97 acres/85,944 total site square footage, interior corridors, Amenities, Indoor pool & spa, Lounge and restaurant on premises. This large land tract resides on the north side of Acton, looking south onto the valley floor. The property is broken into two parcels (APN 3217-020-041 and 3217-020-42). The boundaries of the land are Crown Valley Road to the west, Bandell Street to the south, the intersection of Crossbow Road at Bandell Street to the east and Westcoatt Street to the north. The property currently has a tentative tract map (No. 43766) for 39 estate lots. 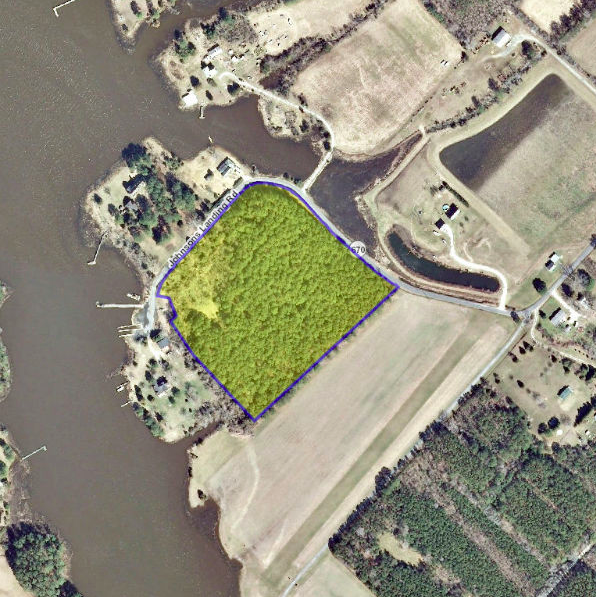 The gross size of the property is 79.6 acres, with a net size of 62.5 acres. The lots range in size from .9 acres to 5 acres, with an average size of 1.6 acres. 75% of the lots range between one acre and two acres. A possible alternative to recording the subdivision map for the 39 lots, is to record a parcel map with four 20 acre parcels. This is the only Golf course, RV Park, Camp Ground, Mobile Home Park, Convenience Store, Vacation Cabins, and Water/Sewer Utility Company in the basin. 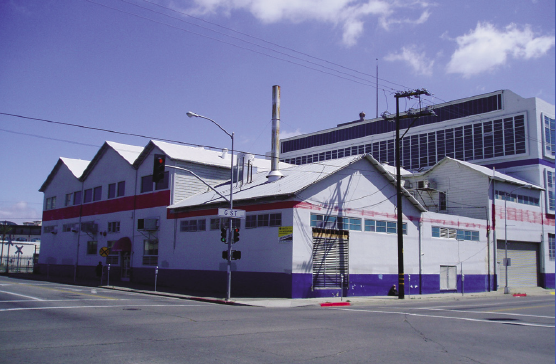 There is no or little competition for these business units within the Round Lake Basin. The population in Southern Oregon has been growing steadily for the past twenty years. Recently, the growth has accelerated even more. This is mainly due to 1) the retiring or snow bird population moving out of crowded and high-cost-of-living cities in AZ, CA, OR, and NV, and 2) a fast growing domestic tourist market reacting to a weak dollar and a post-9/11 decrease in foreign travel. Flying has become more tedious, and the costs of European vacations have gone up by almost 50% in the last year. 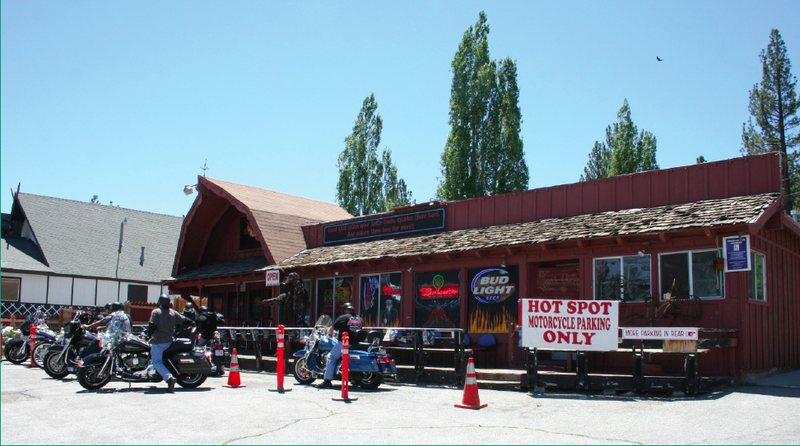 Mixed-Use Property, Operating Bar with Liquor License and Restaurant. Also includes: two homes, garages, prior muffler shop, parking, plus large direct access to public parking lot. Close to (and between) Big Bear Village and Snow Summit, Bear Mountain Resorts. 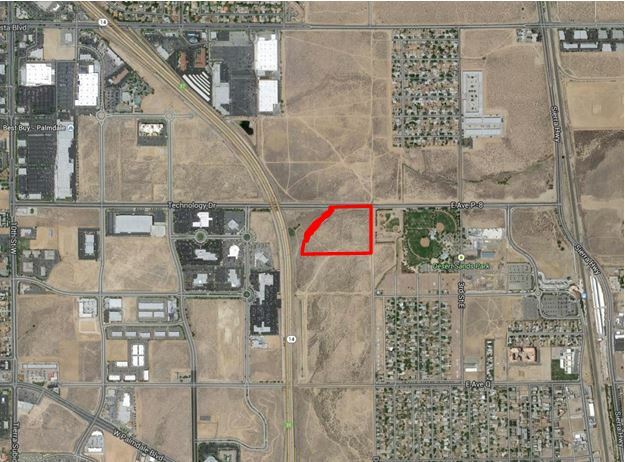 57.72 Acres, 89,800SF of 4 Buildings, 5 Tenants, located at SWC Road 26 and Ave 13 Madera, CA. Monthly income $17,195. 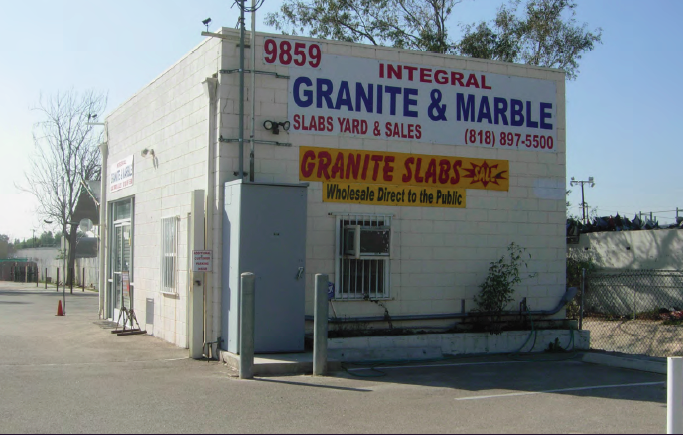 3 Existing Buildings of 50,400 SF, 29,400 SF & 10,000 SF, and Ample Expansion Land Included. 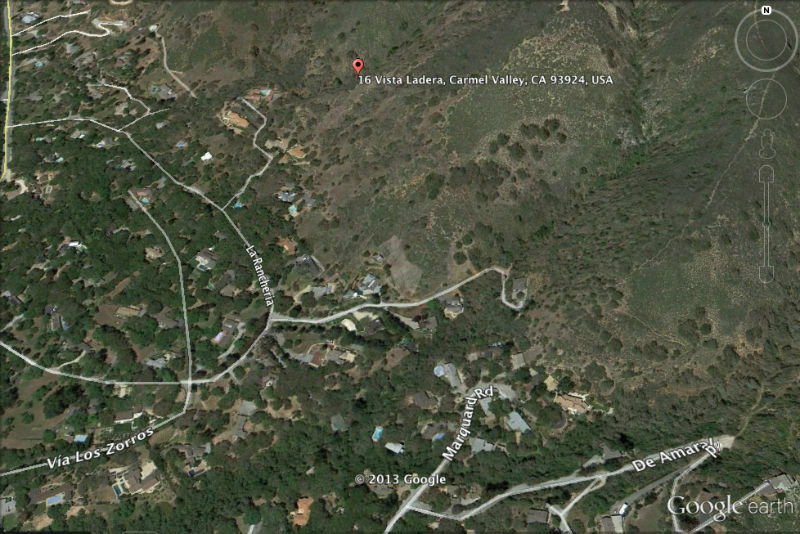 Property is located at 16 Vista Ladera in Carmel Valley, California. 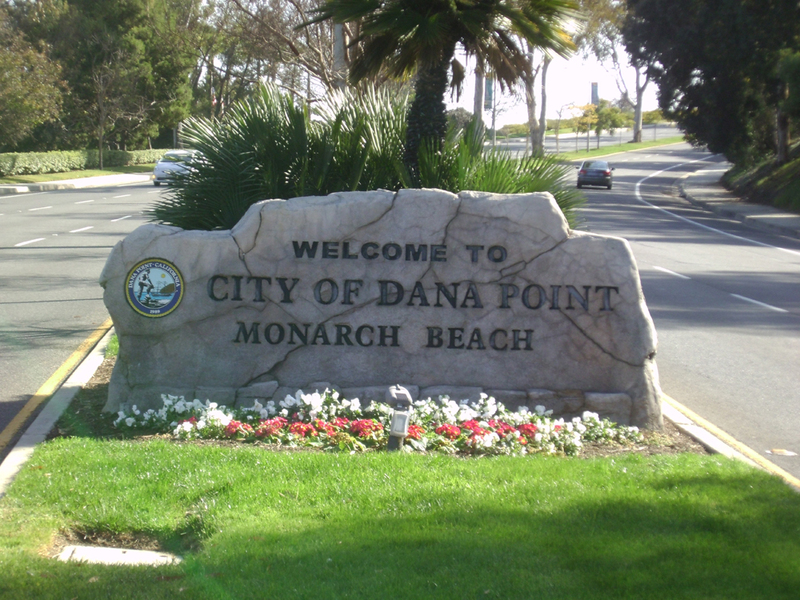 It is located just minutes from Highway 1 and Carmel Rancho Shopping Center. It features a residential development, land, and a single family home, plus Carmel Valley views, and large buildable acreage. APN#187-111-028. 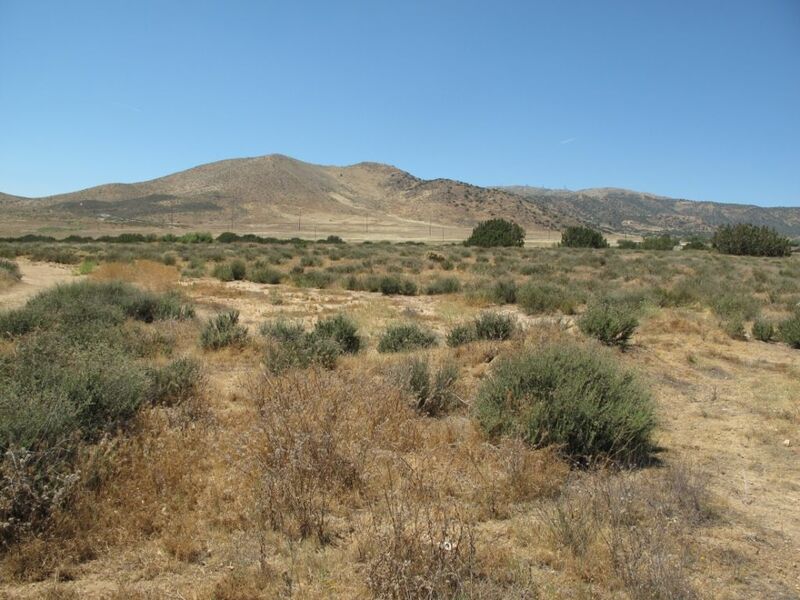 Residential Land Development totaling 40.02 acres plus a single family home, and great Valley views. APN#: 419-371-018. The Dunes Residential Land Development located at 20 Spray Avenue in Monterey, California. Also includes a single family home. Located just two blocks from the Pacific Ocean; very private. 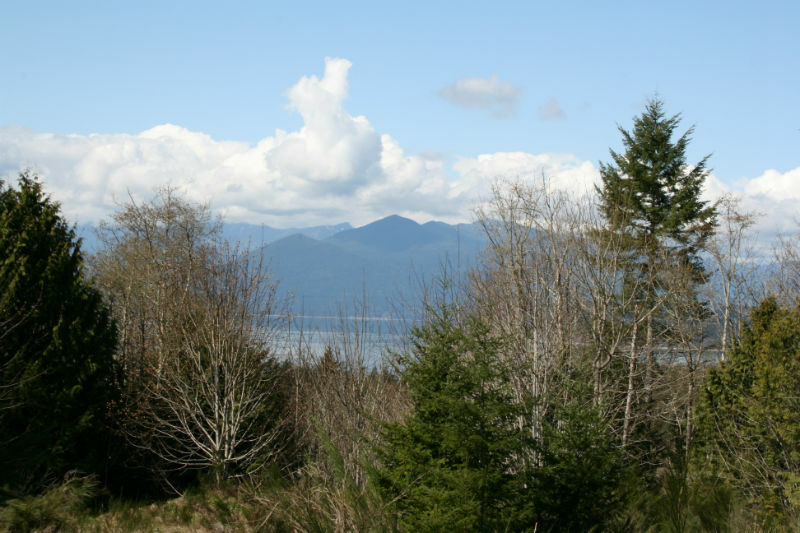 Residential Development Land featuring a single family home with a special ocean view. Located just two blocks from the Pacific Ocean; very private. 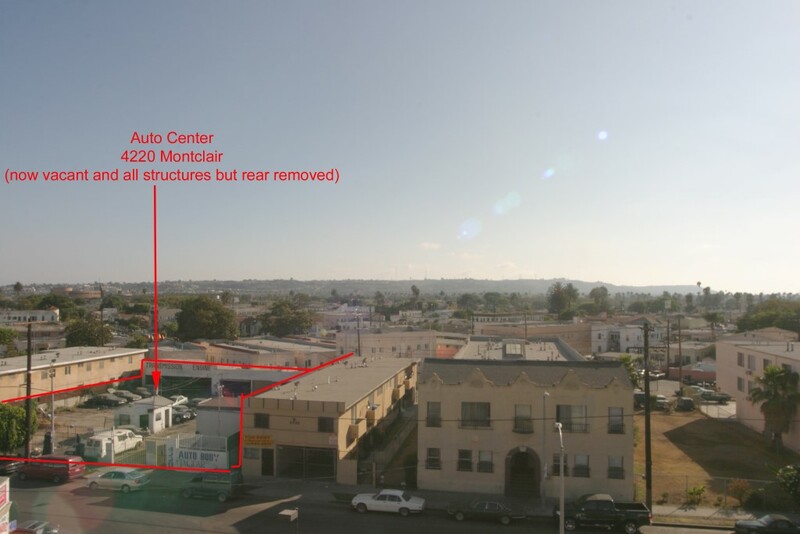 The property site contains 21,388 square feet of land area located at 15544 San Fernando Mission Blvd., Los Angeles, CA 91345 (APN 2664-018-030) at the corner of San Fernando Mission Blvd and Orion Avenue/405 Freeway off ramp. Additionally the site is within 500 feet of the 405 South on ramp. The daily car volume is over 21,000 vehicles. Access to the site is considered excellent. It is achieved by ingress and egress from San Fernando Mission Blvd, Orion Avenue and Marklive Avenue. Third largest Mushroom Farm in the United States is 76 years old, and located at 4440 Olivas Park Drive in Ventura, CA. Recent annual revenues of U.S. $38 million. 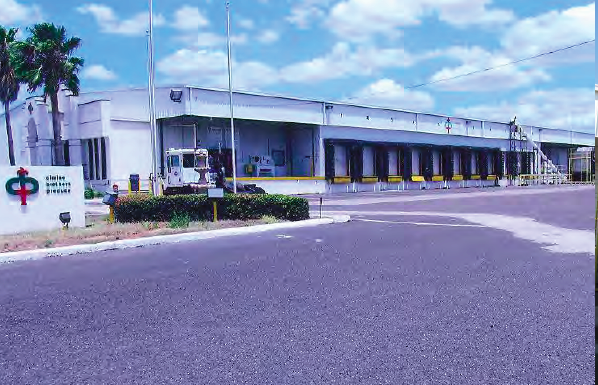 Property includes land, buildings, equipment, 29.5 acres and 524,000 SF of facilities. Total SF includes 13,968 office/apartment, 4,750 SF of theatre plus Celebration Hall Retail Building/Restaurant at 4,468 SF. 4.67 Acres. 29212 Mission Boulevard Hayward, CA. APN 078C-0455-001-004. 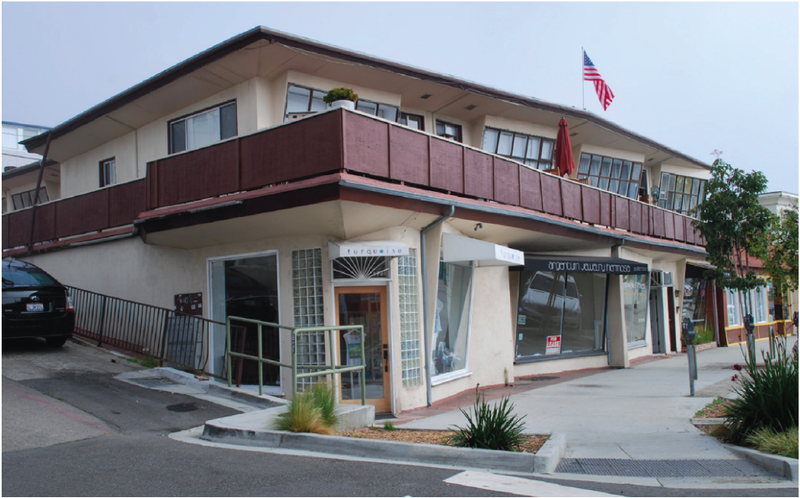 Approx 2500 SF with 10 covered parking spaces.Situated close to freeways, commercial and Laguna Beach/Dana Point markets. 40,000+ cars per day traffic count. 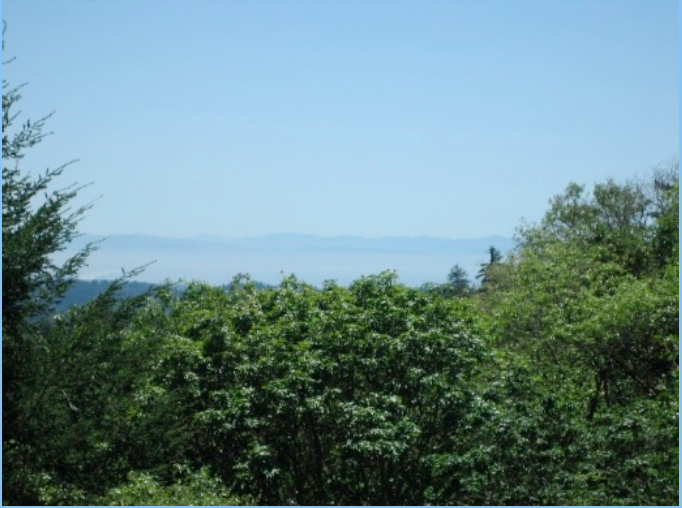 186 Acres in Prime Silverdale Kitsap County Land zoned for Residential Development, On Western side of Puget Sound near Waterways and Mountain views. from San Clemente Island to Santa Catalina Island. 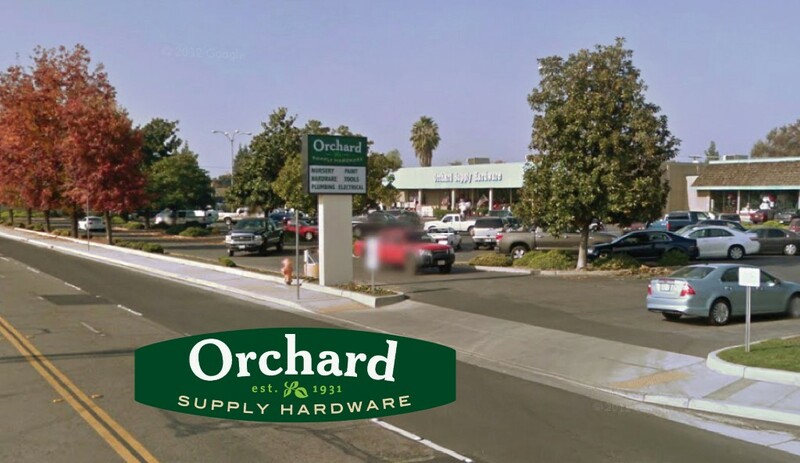 3934 Coronado Ave. Stockton, California.Multi-tenant Income producing. Commercial Property Ready to Develop. 4220 Montclair Street, Los Angeles, CA. Bank Owned. Starting Bid $199,000. 2360 SF Building. 13,500 SF Lot. Office Building 13663 Prairie Avenue, Hawthorne, CA. 90250.Banks Owned Starting Bid $199,000. 5264 SF Building, 6 parking spaces 50% rented. Commercial-Industrial Building. 9859 San Fernando Road,Pacoima, CA. 91331. Luxury Residential Development Site with Panoramic Views. Between Chatsworth and Simi Valley, California . 70+ acres , 13 Estate Lots. 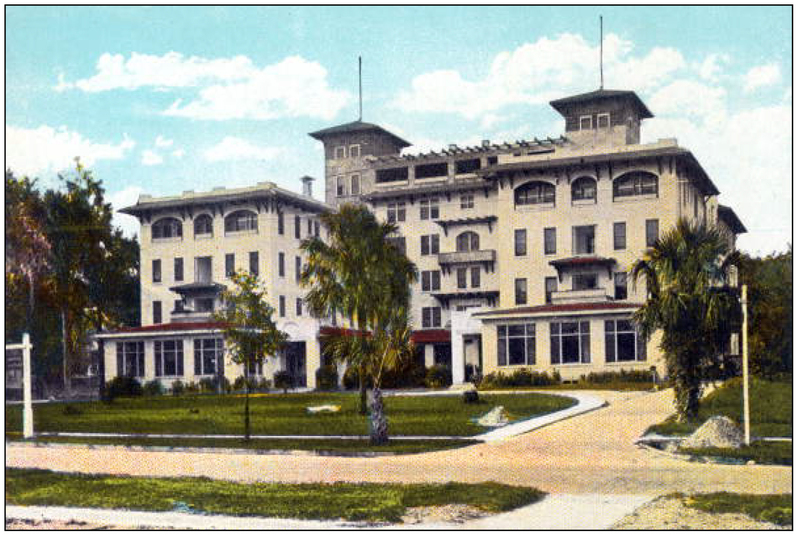 The Hotel is a U-shaped structure consisting of a four-story building. Amenities include 194 guest rooms, full-service restaurant and lounge, an outdoor swimming pool, fitness facility and approximately 4,421 SFof meeting space. The Property is situated on approximately 3.35 acres and has a building size of approximately 107,130 SF. The Hotel was built in two phases in 1974 and 1982. For the space, the hotel has approximately 4,421 SF of meeting space including two ballrooms. 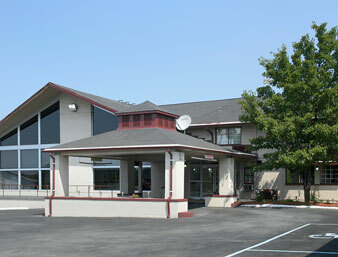 Ballroom is comprised of 2,311 SF and the Madison Ballroom is comprised of 2,110 SF.